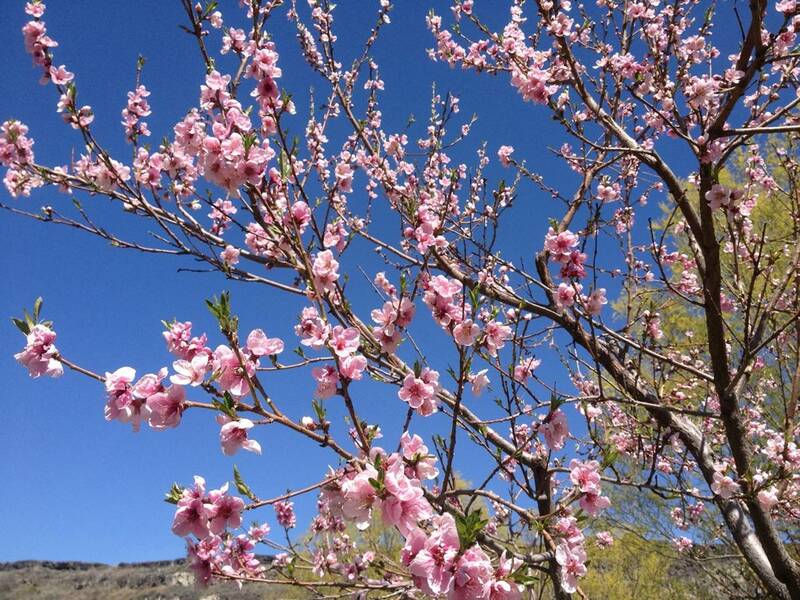 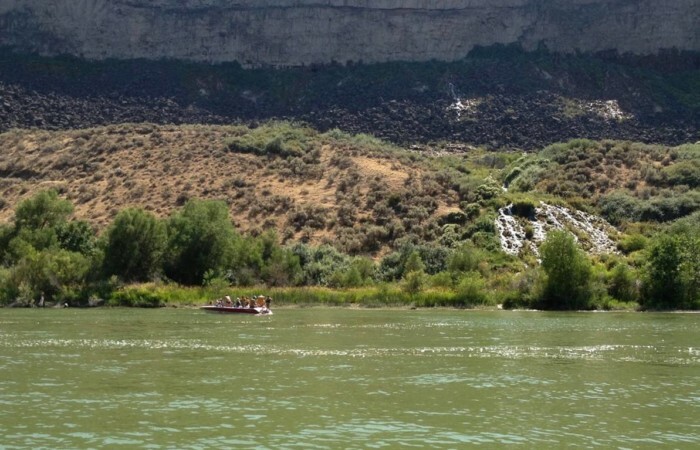 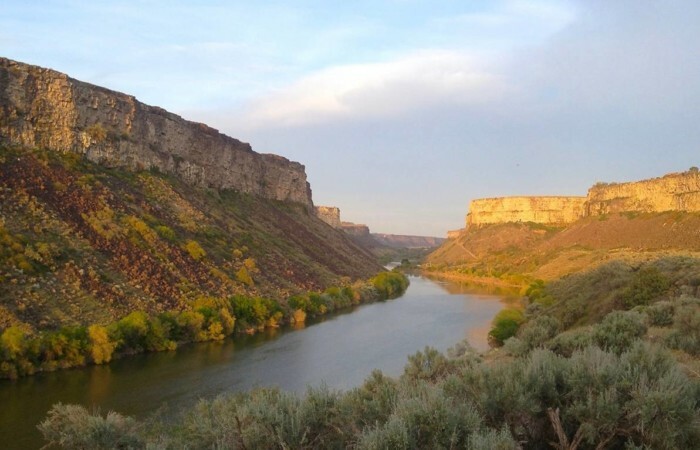 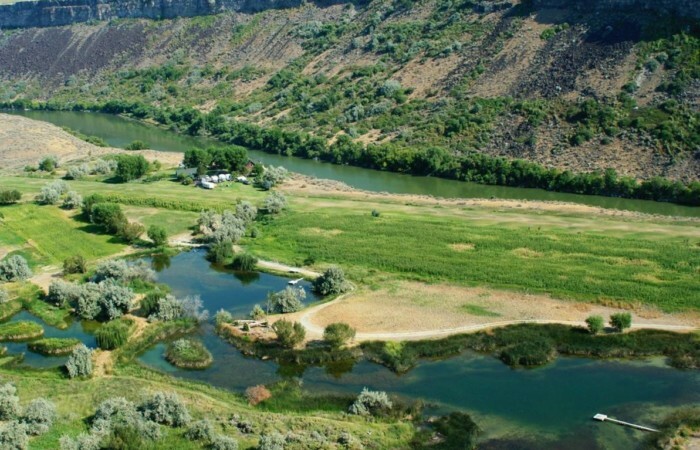 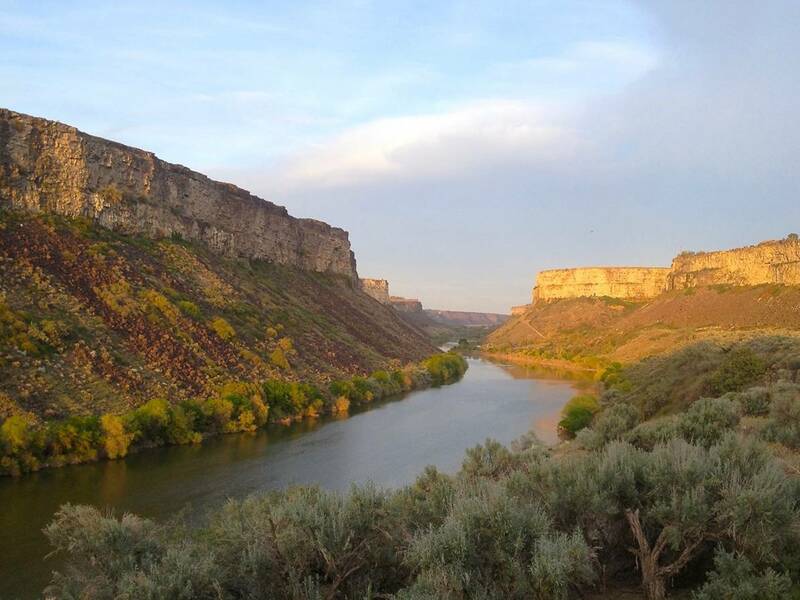 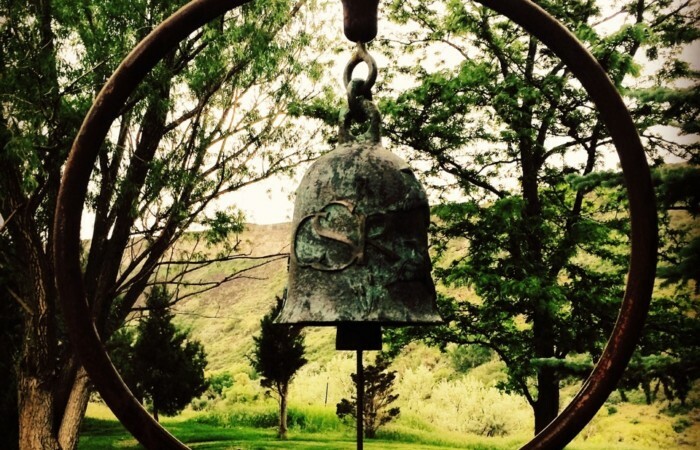 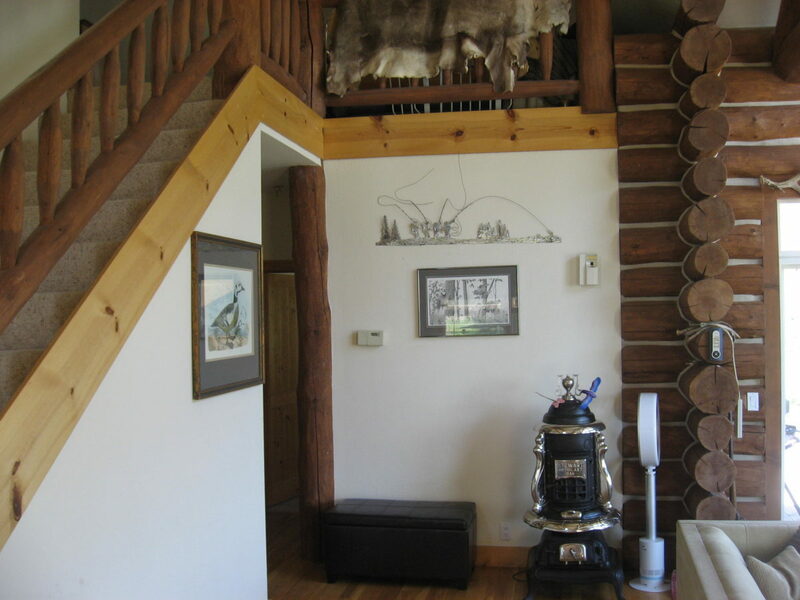 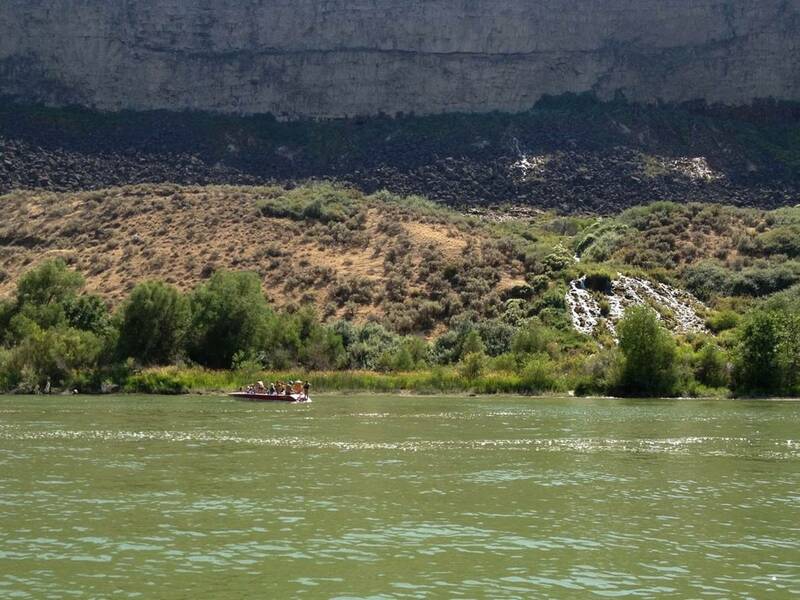 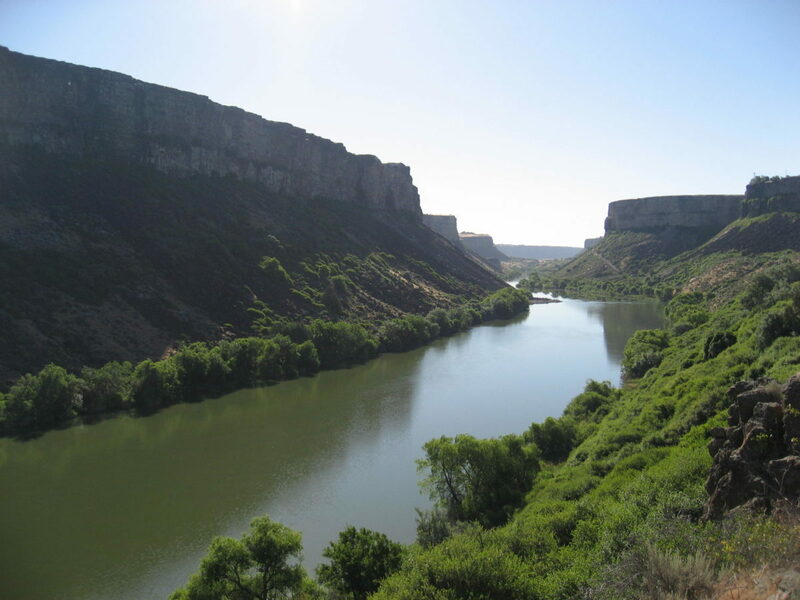 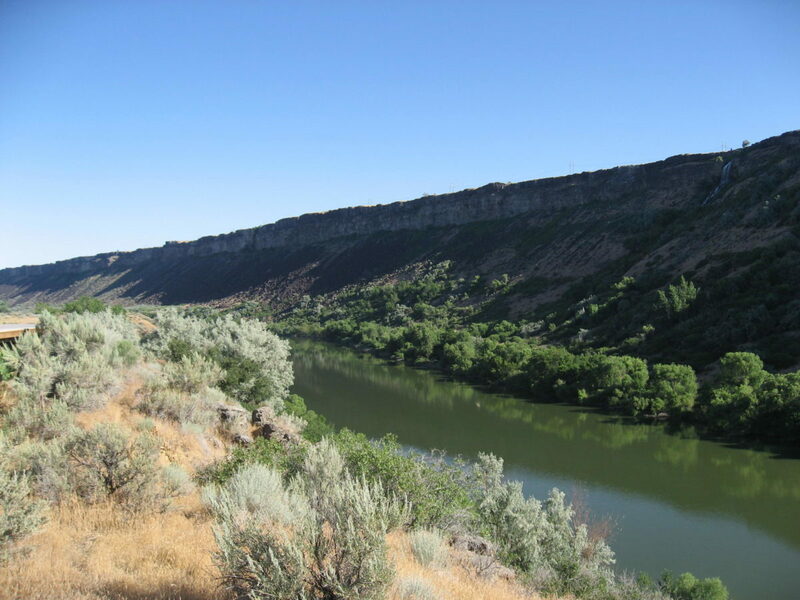 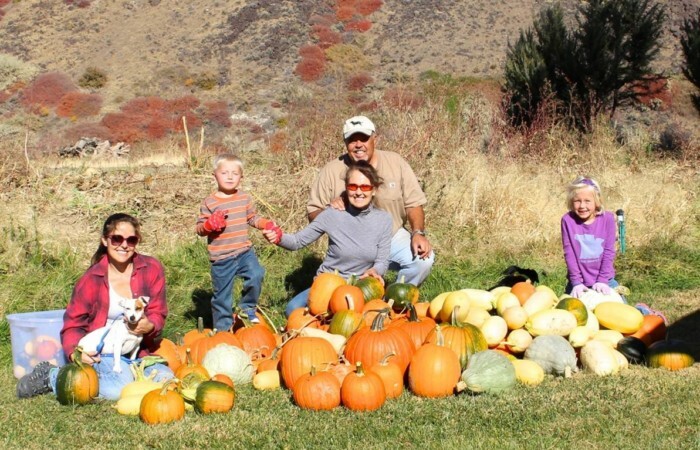 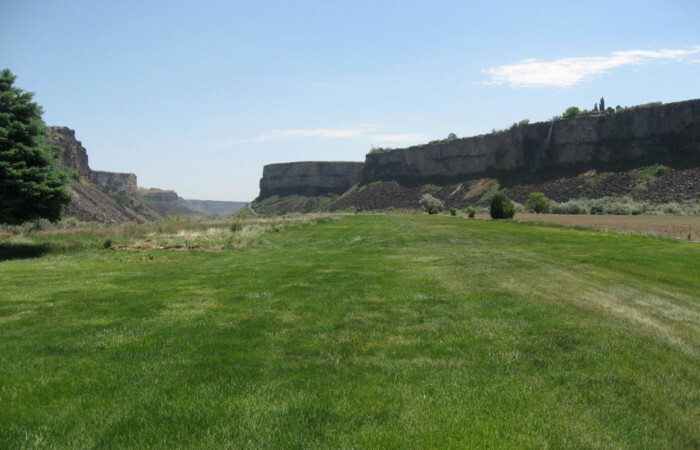 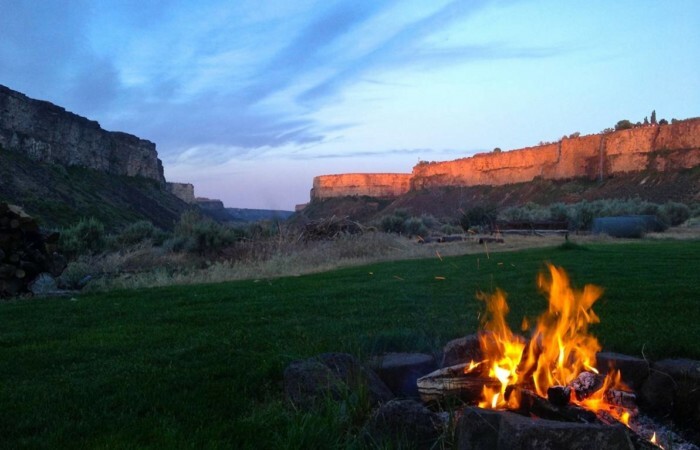 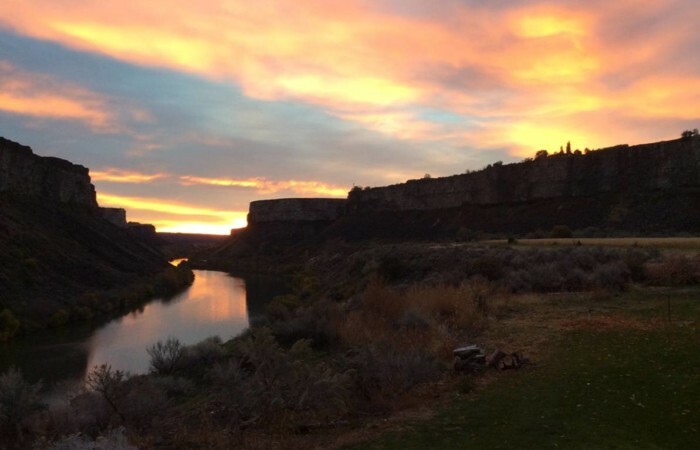 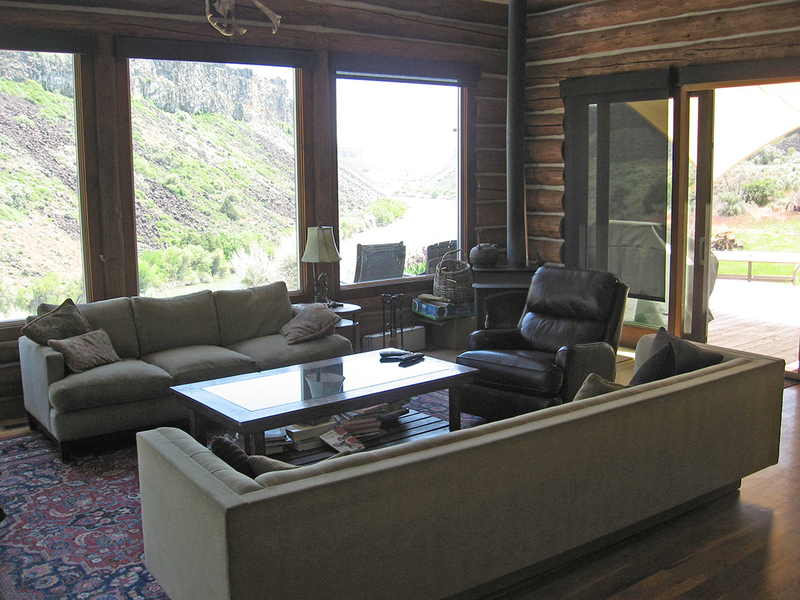 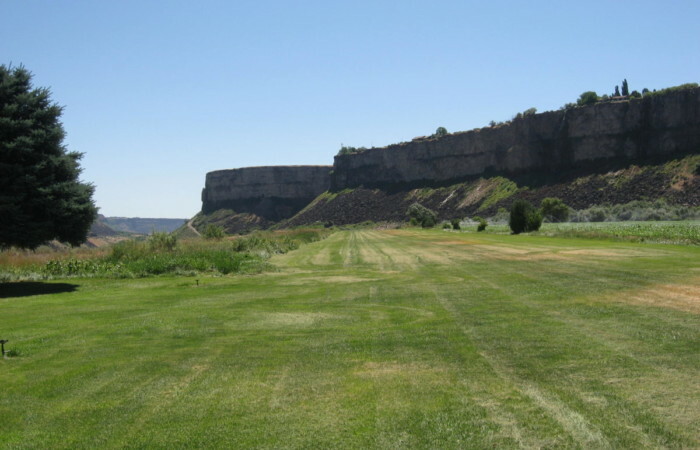 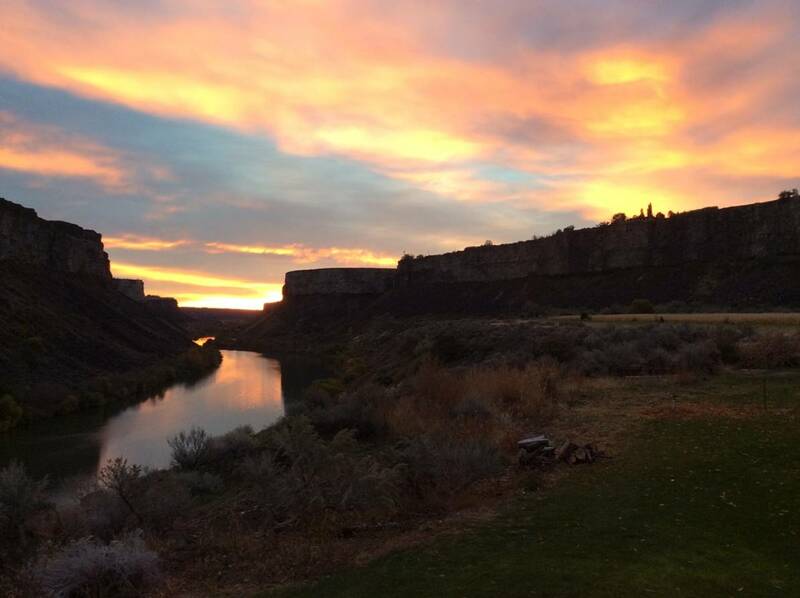 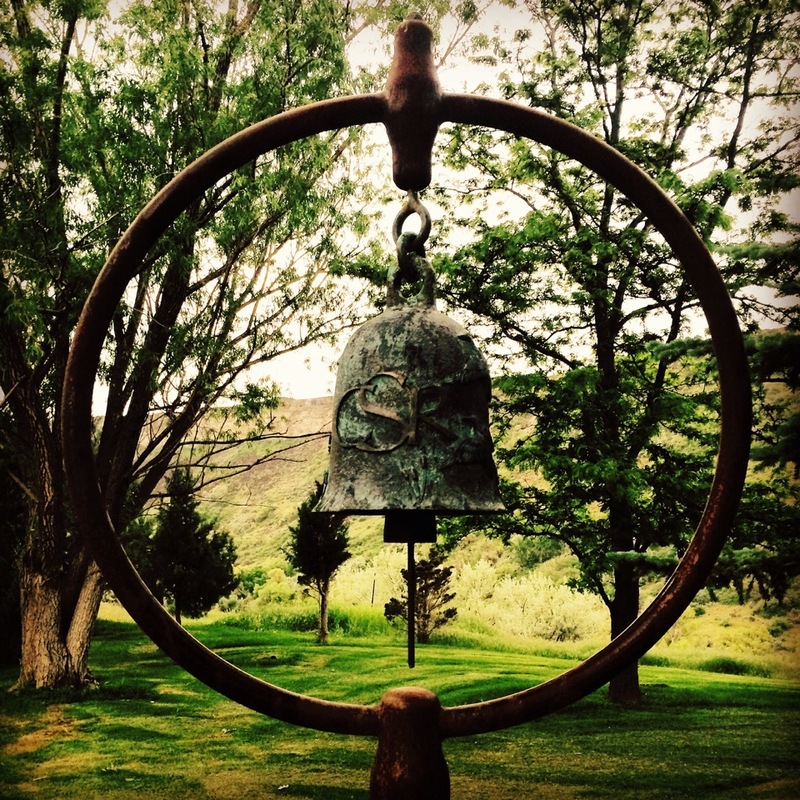 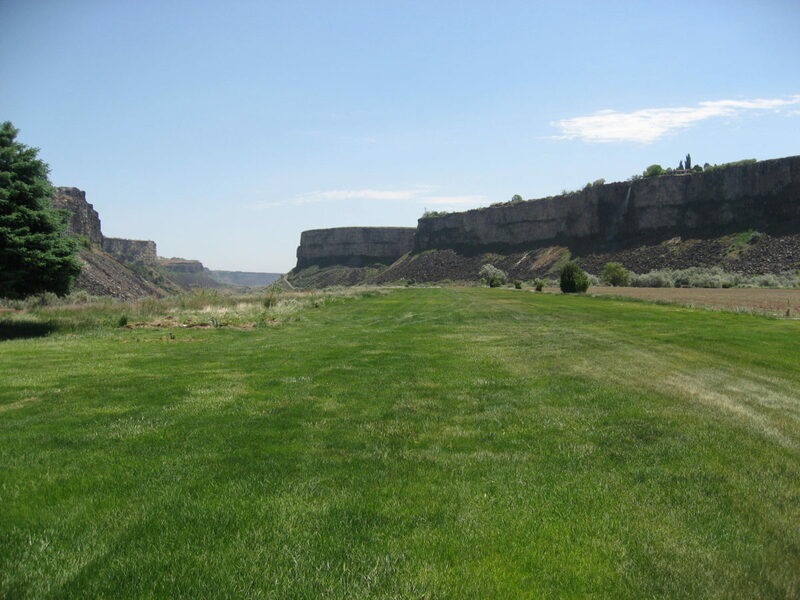 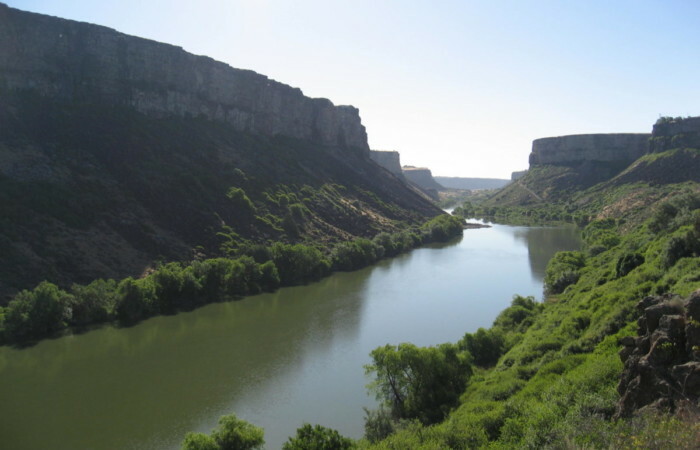 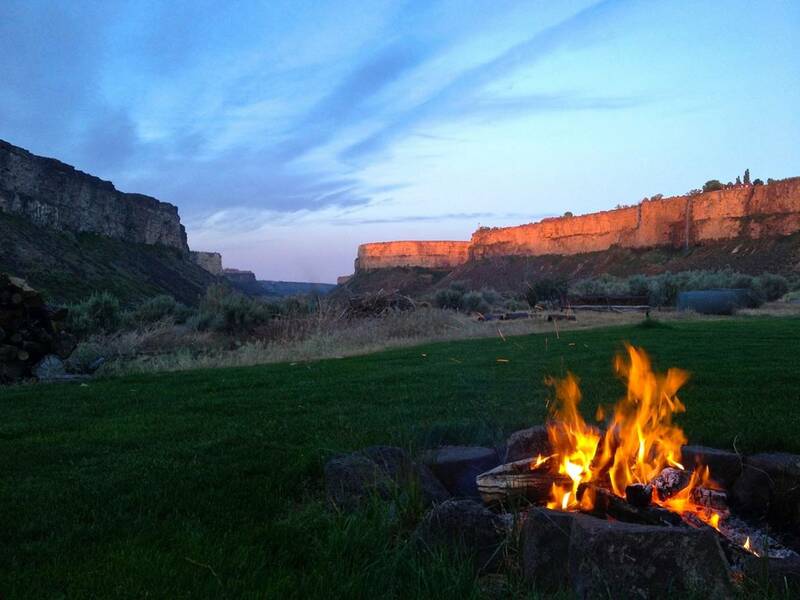 This stunning Snake River Canyon ranch is “one of a kind”. 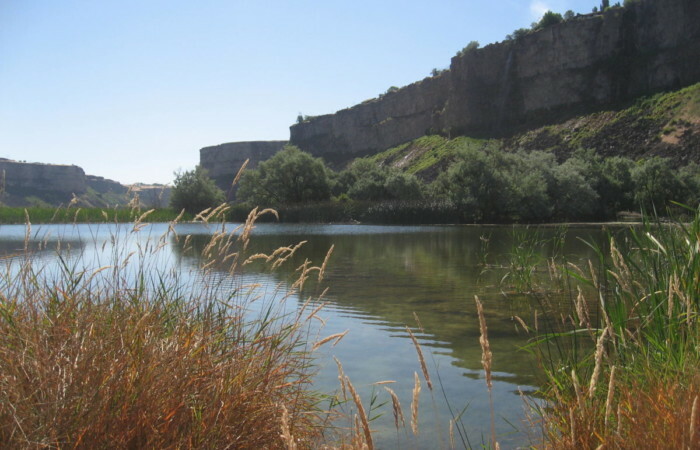 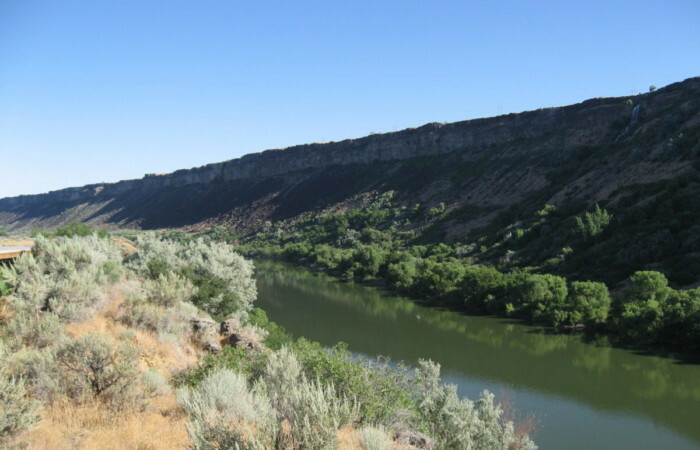 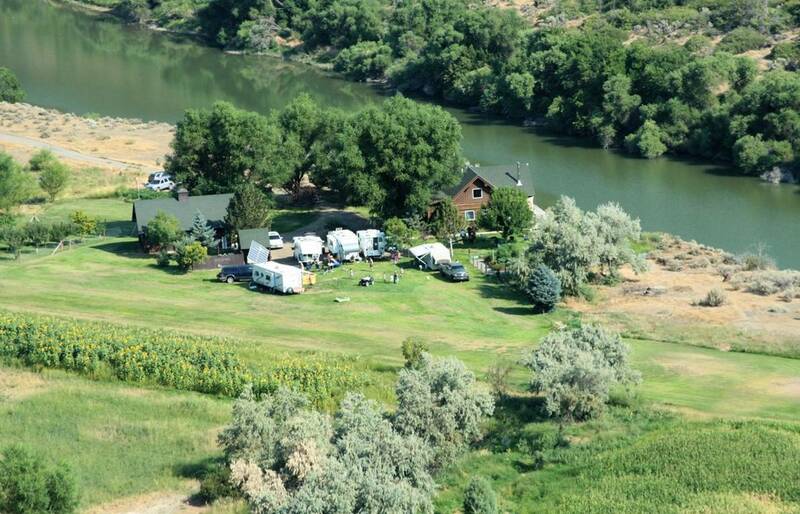 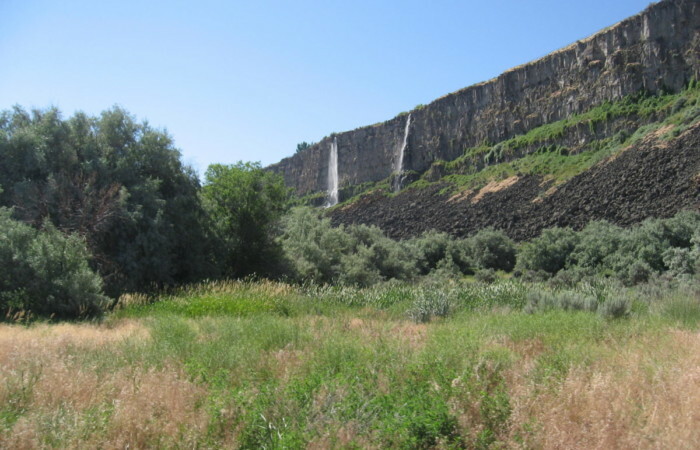 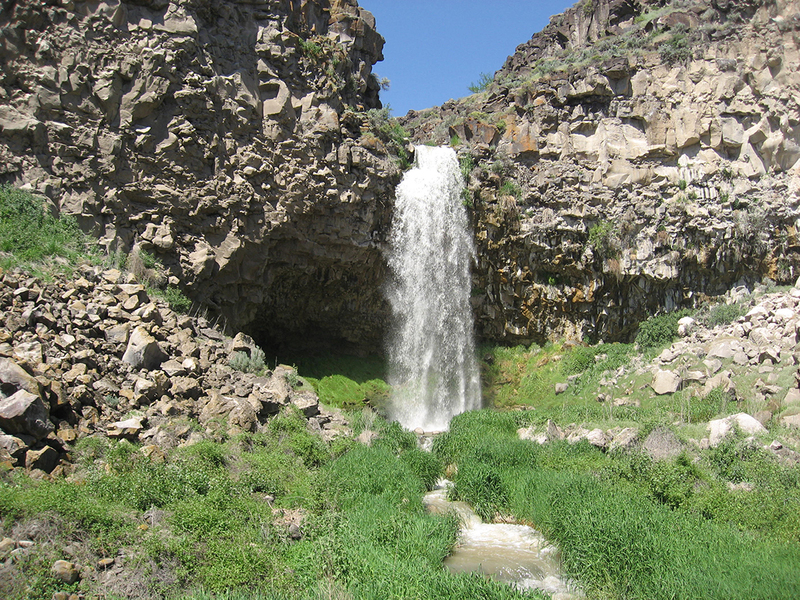 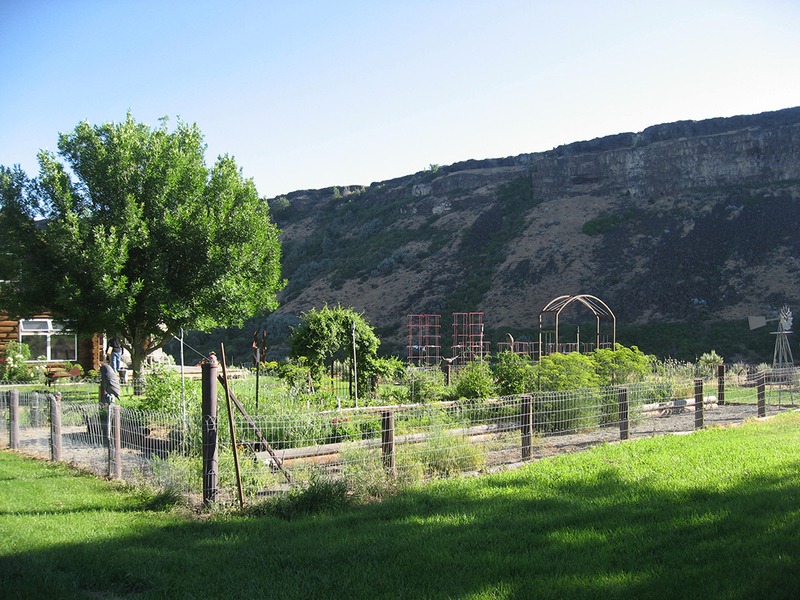 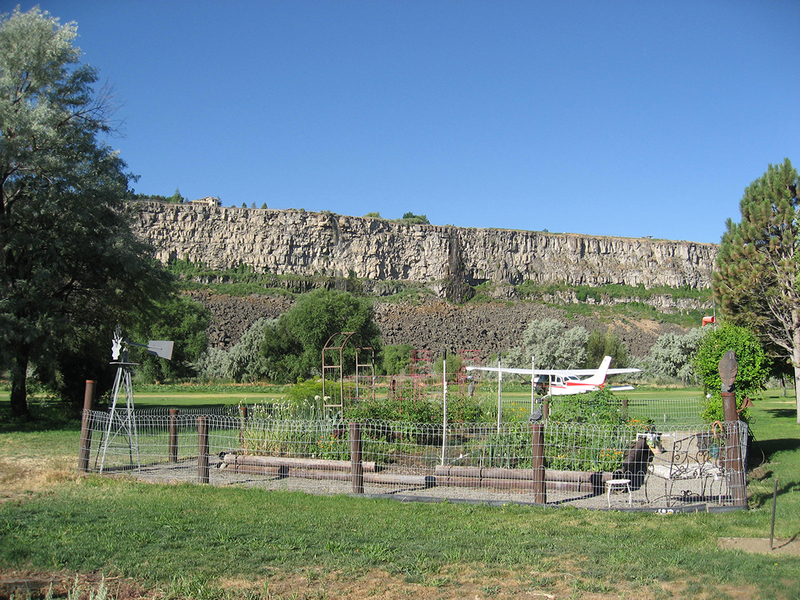 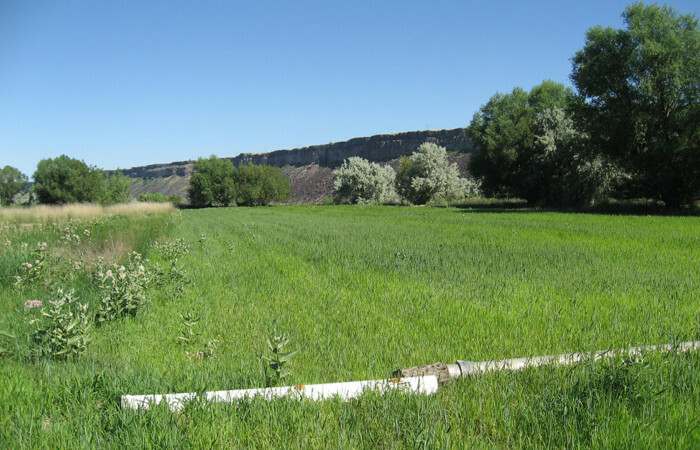 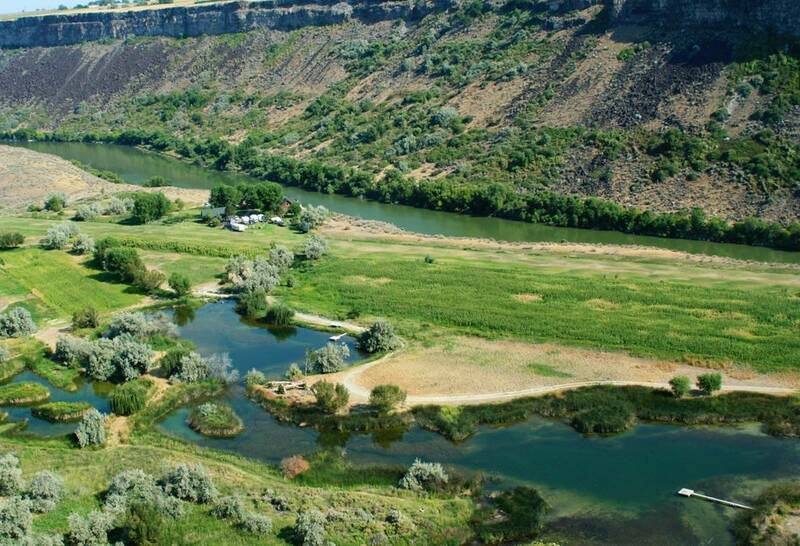 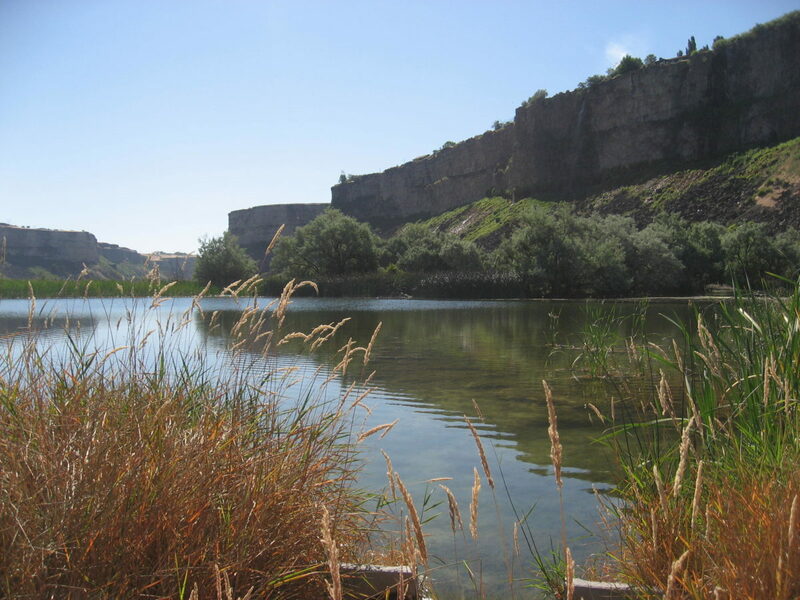 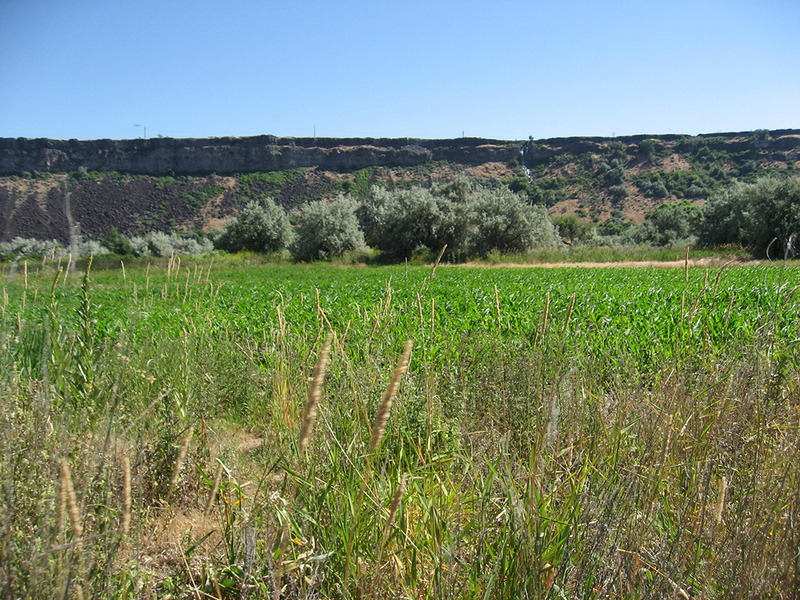 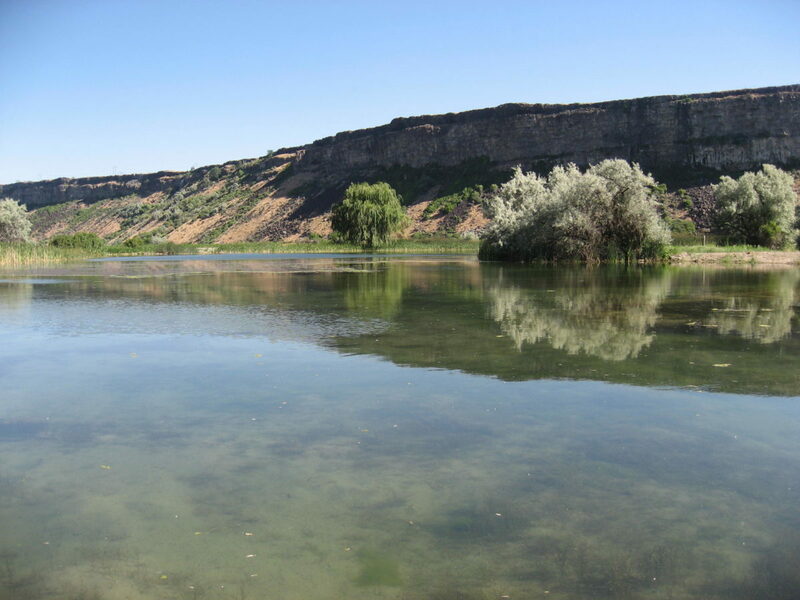 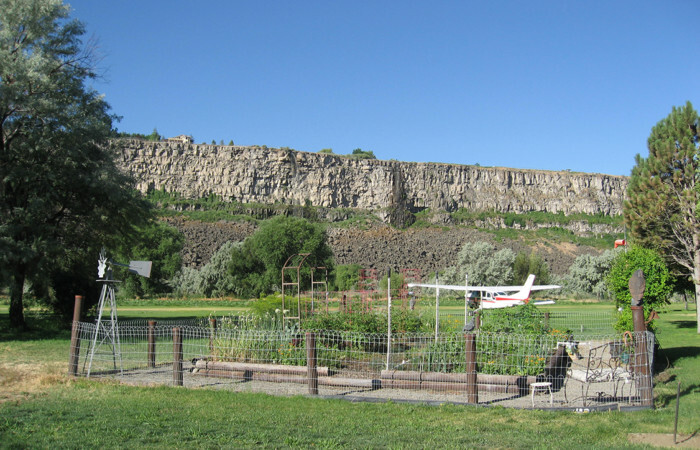 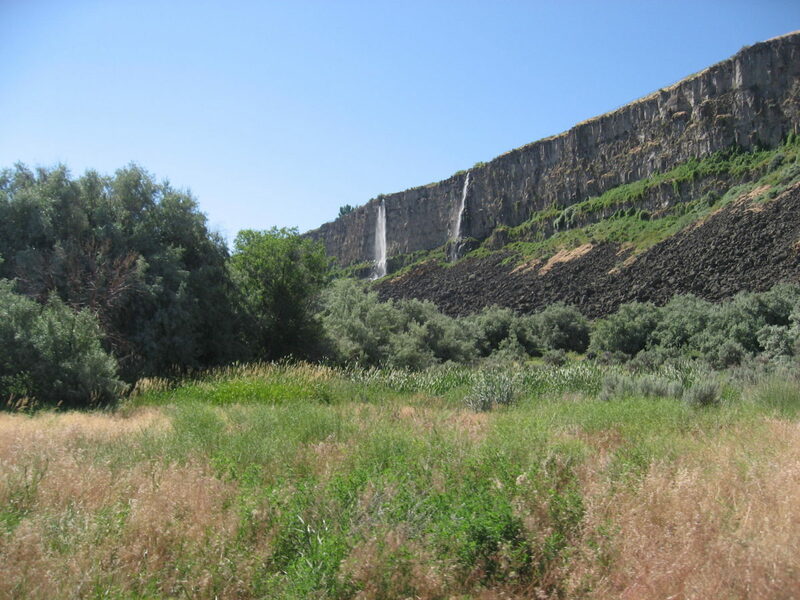 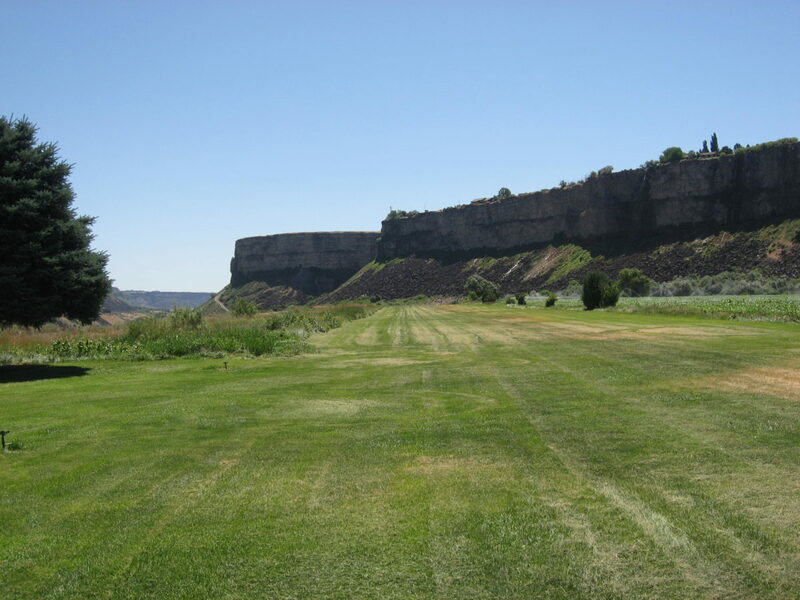 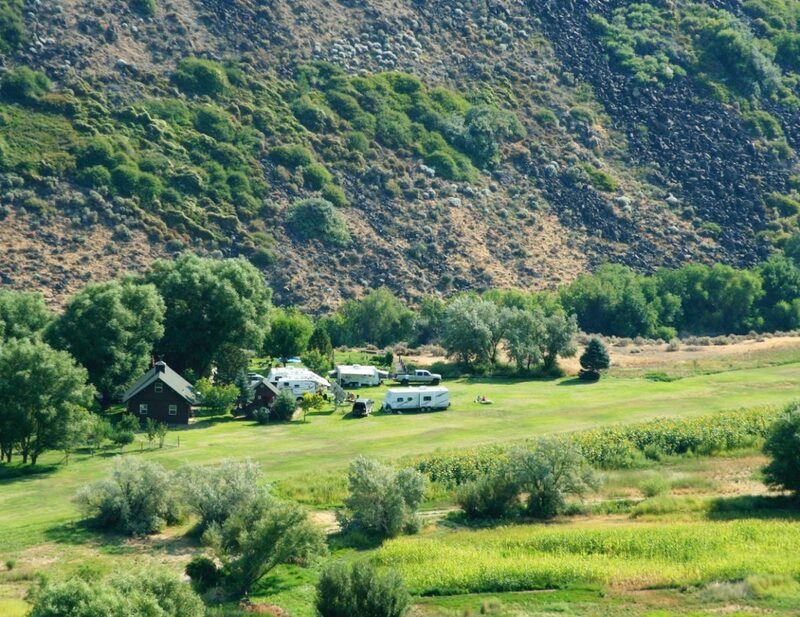 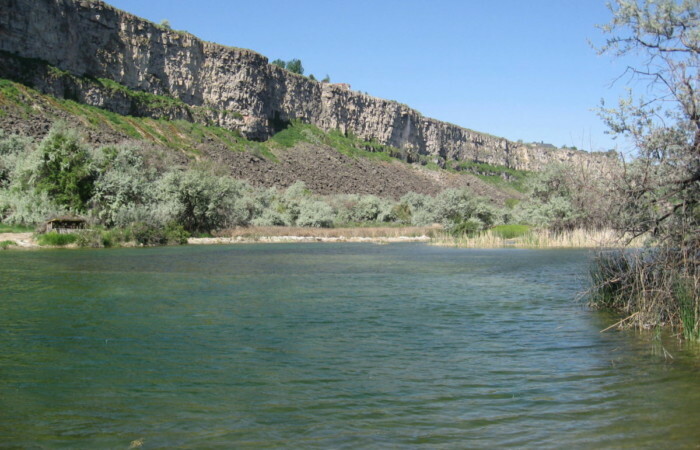 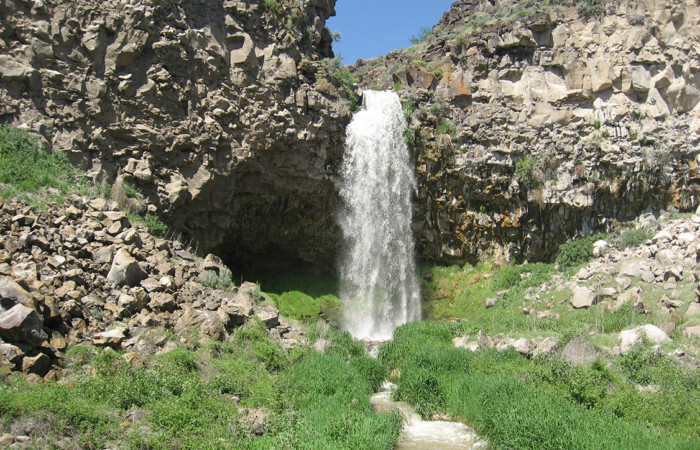 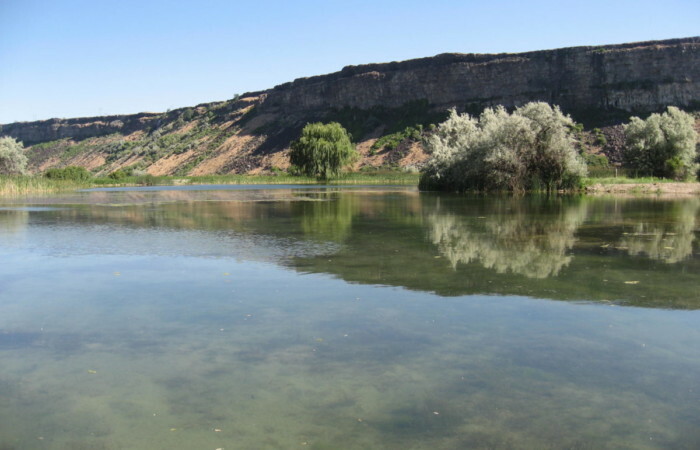 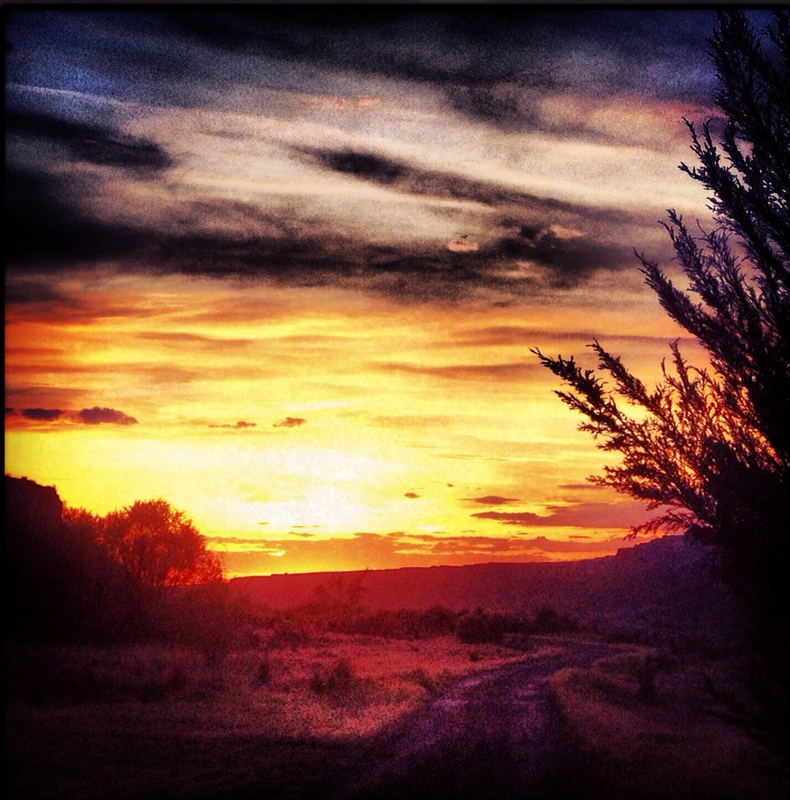 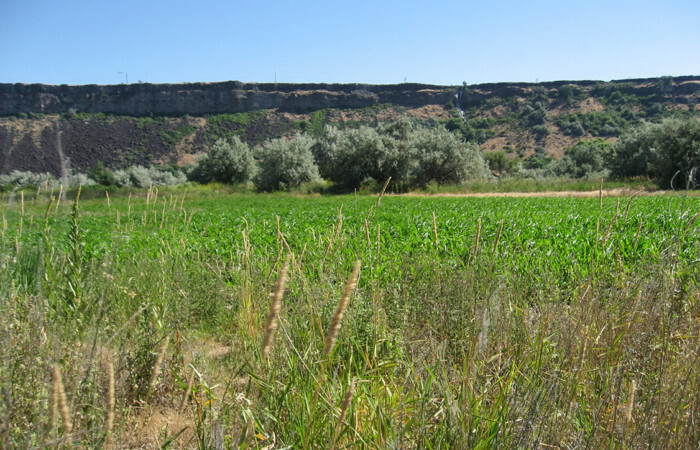 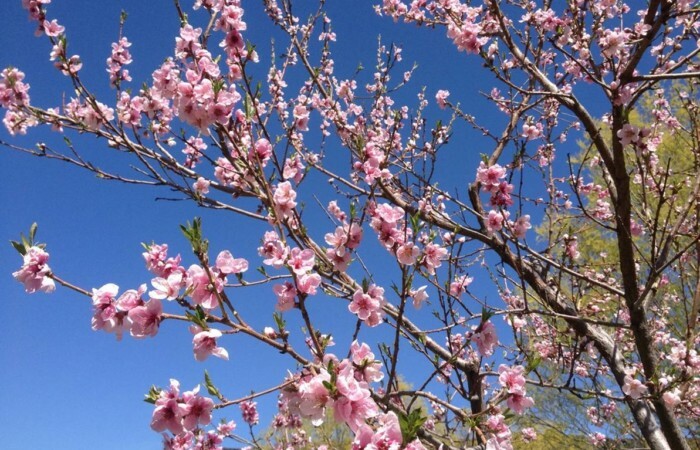 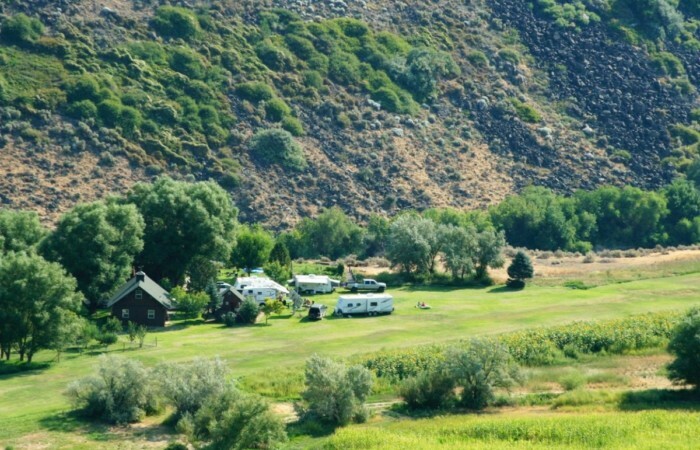 The ranch consists of 500 deeded acres, most of which are located along two miles of Snake River frontage. 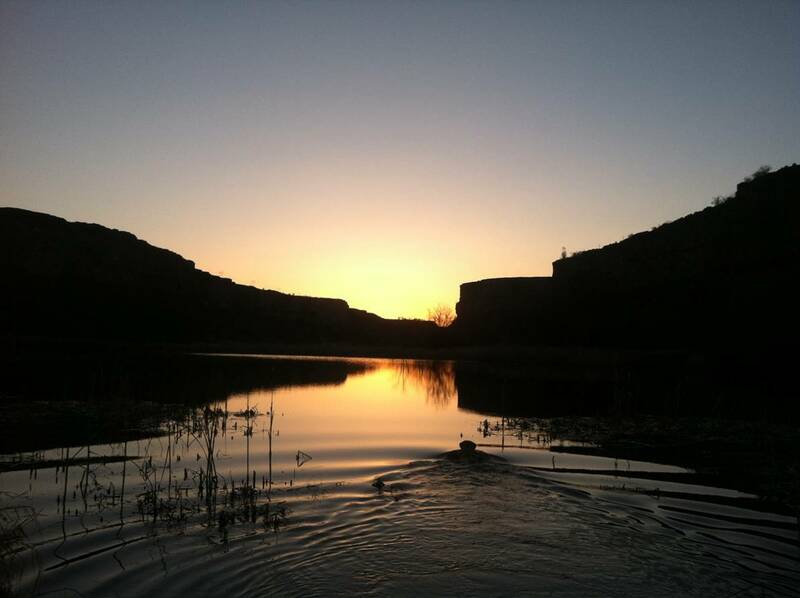 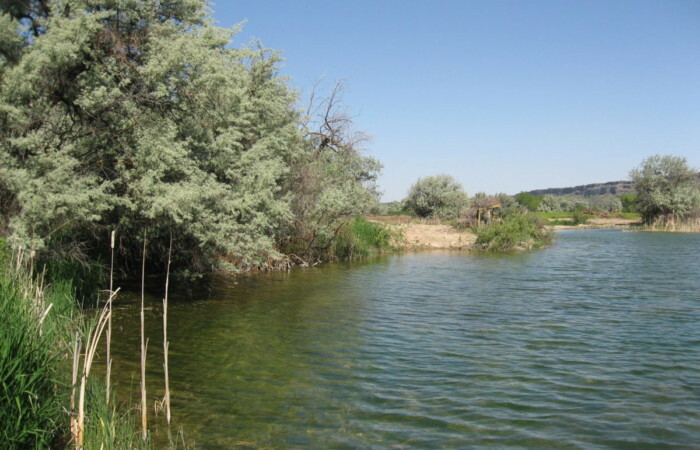 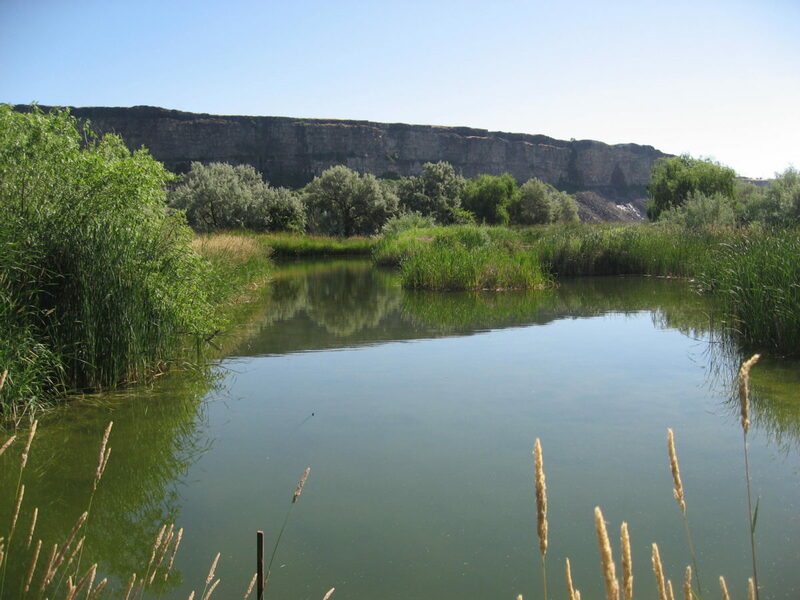 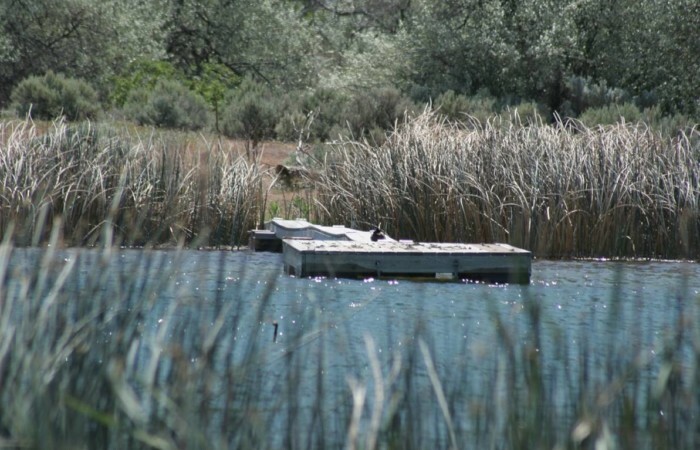 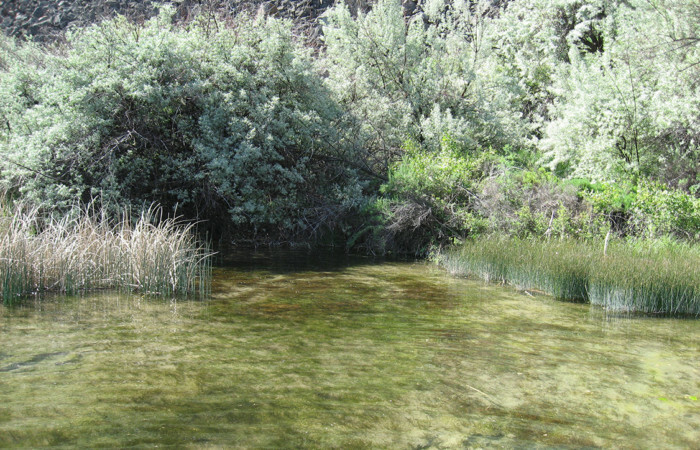 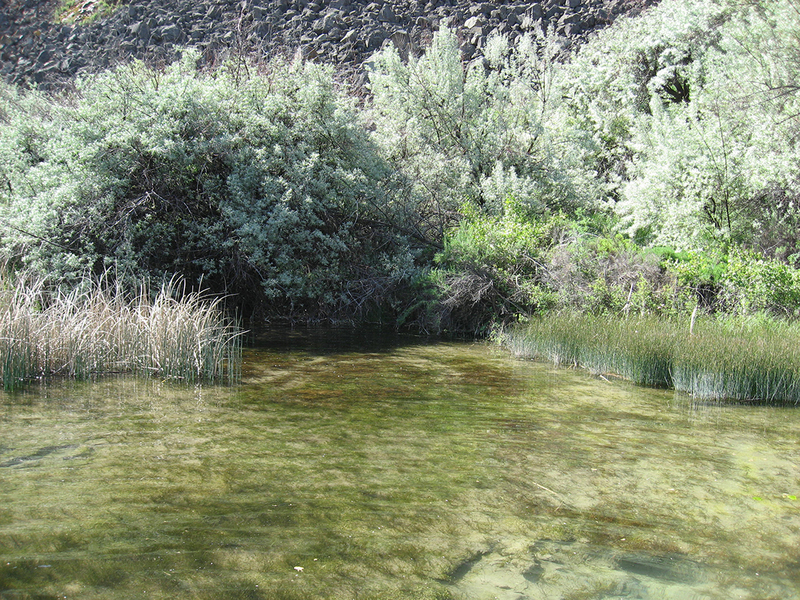 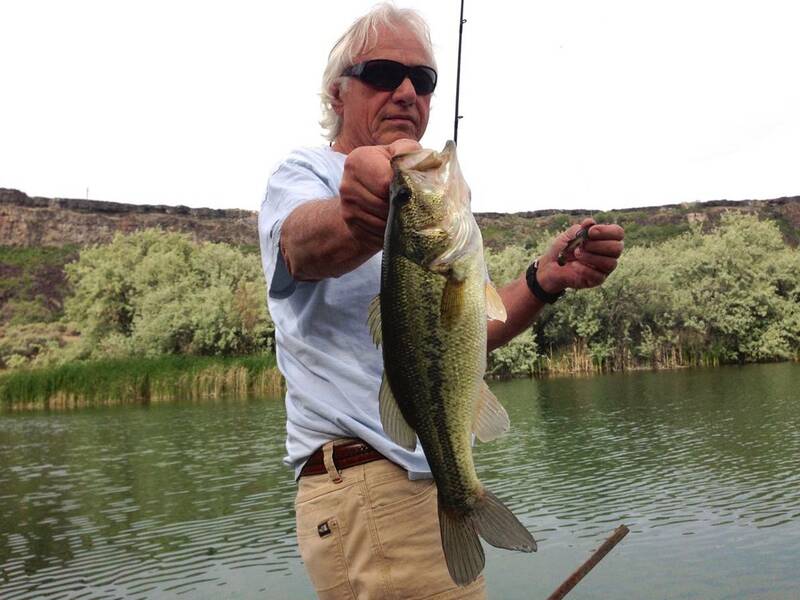 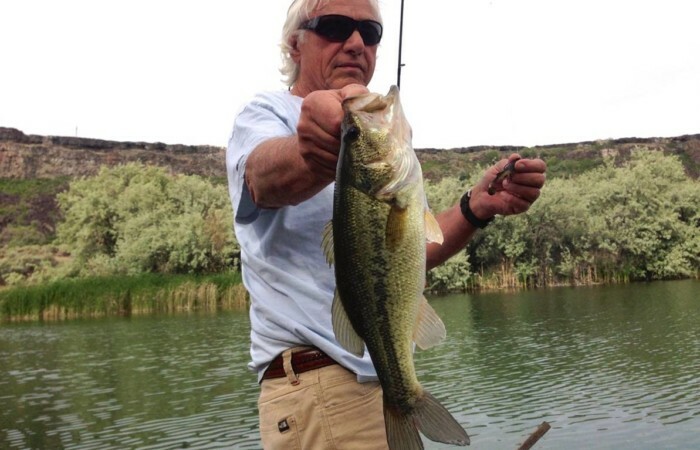 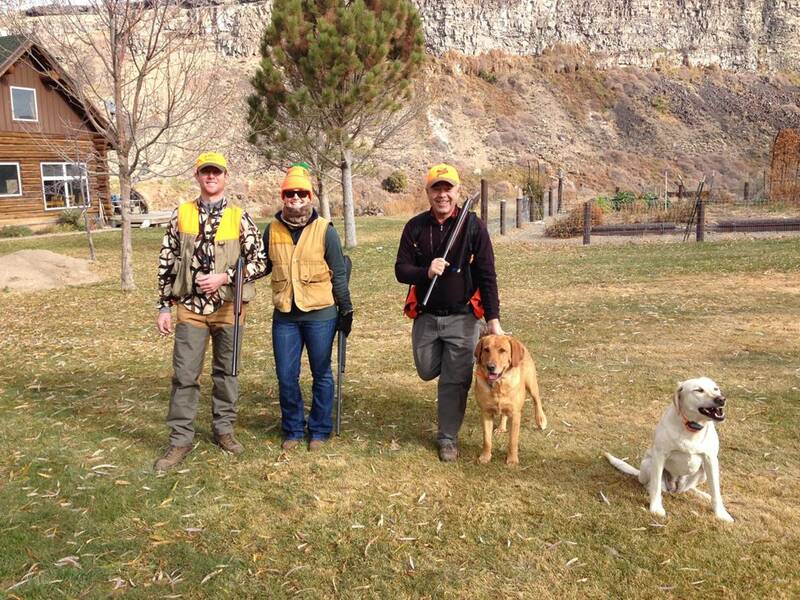 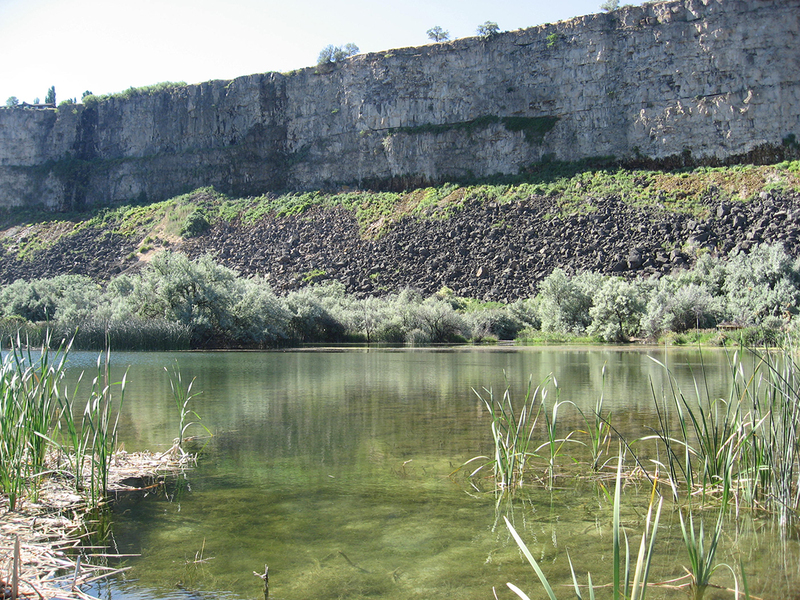 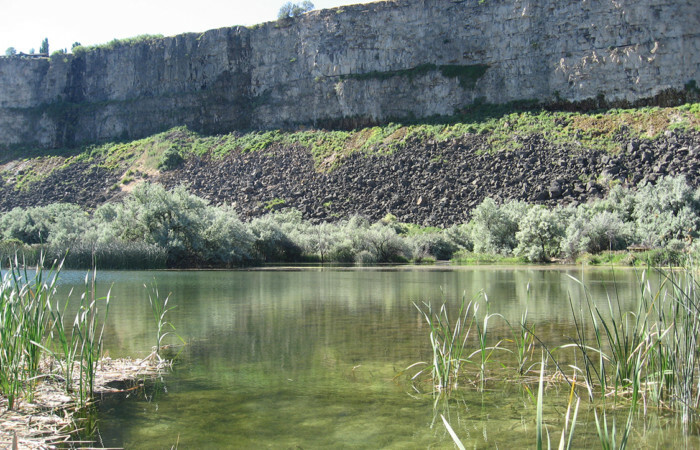 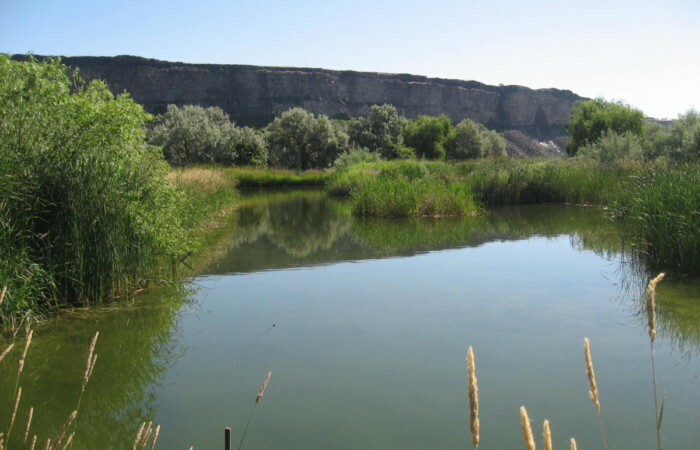 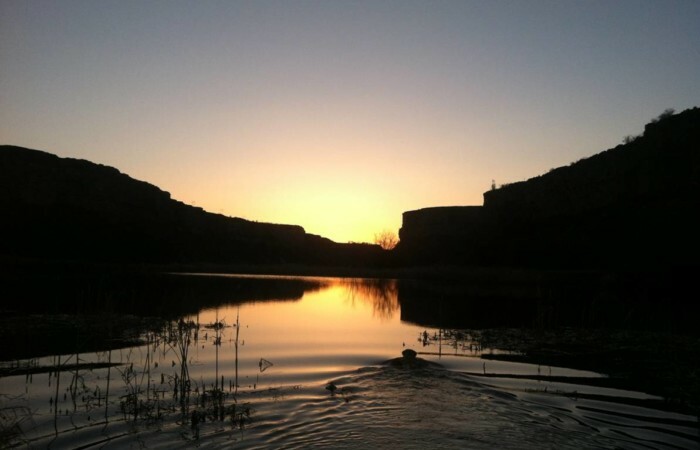 The ranch has several fresh water spring fed ponds that offer excellent bass and rainbow trout fishing. 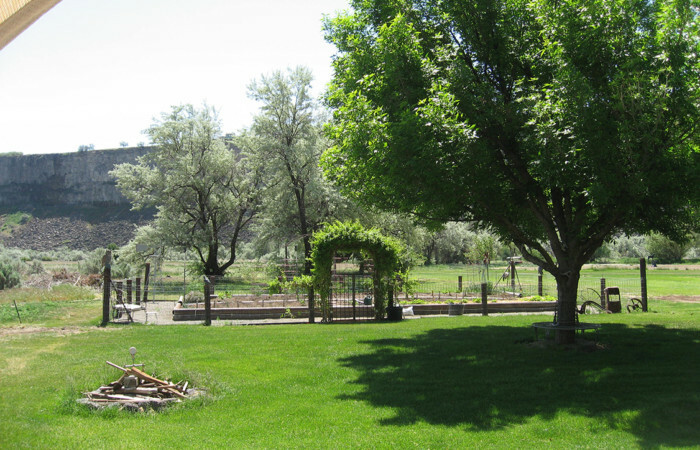 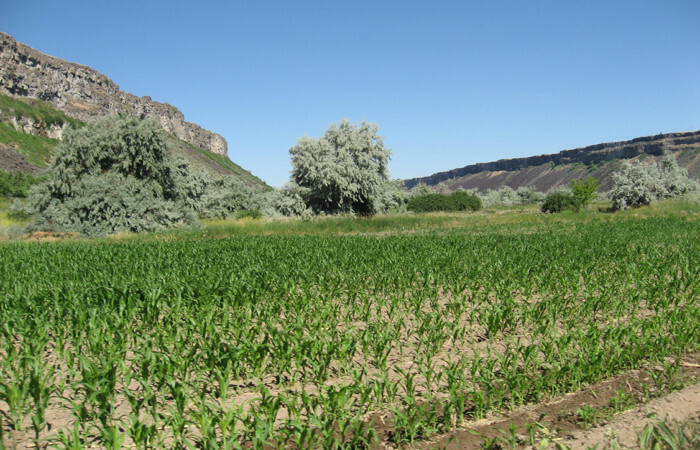 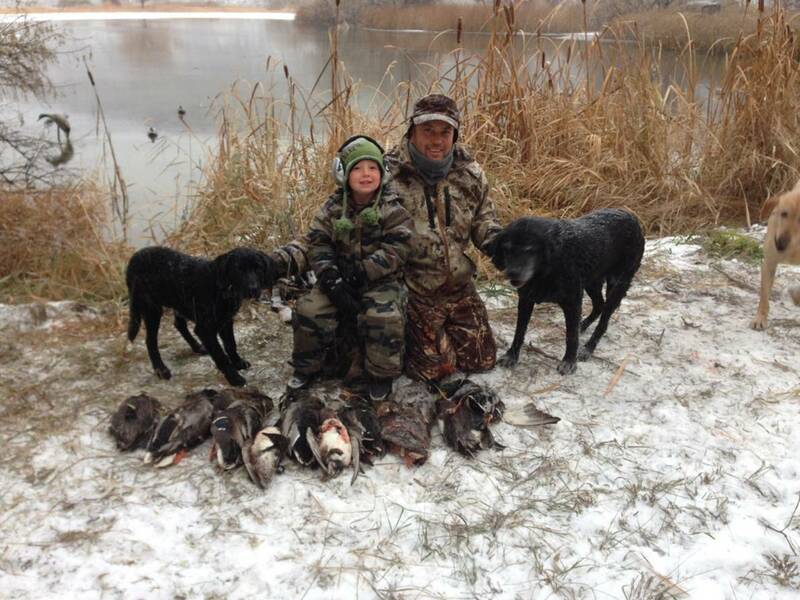 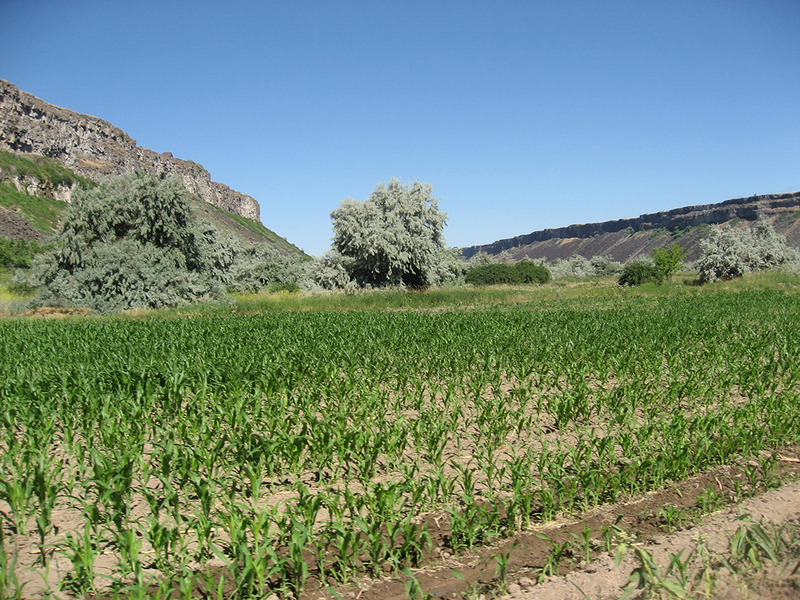 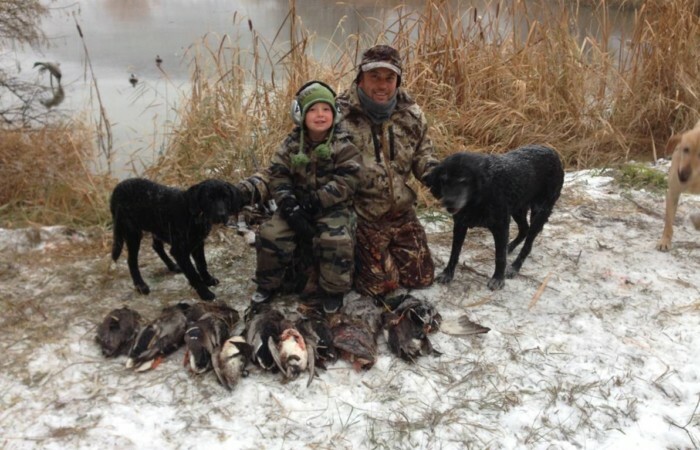 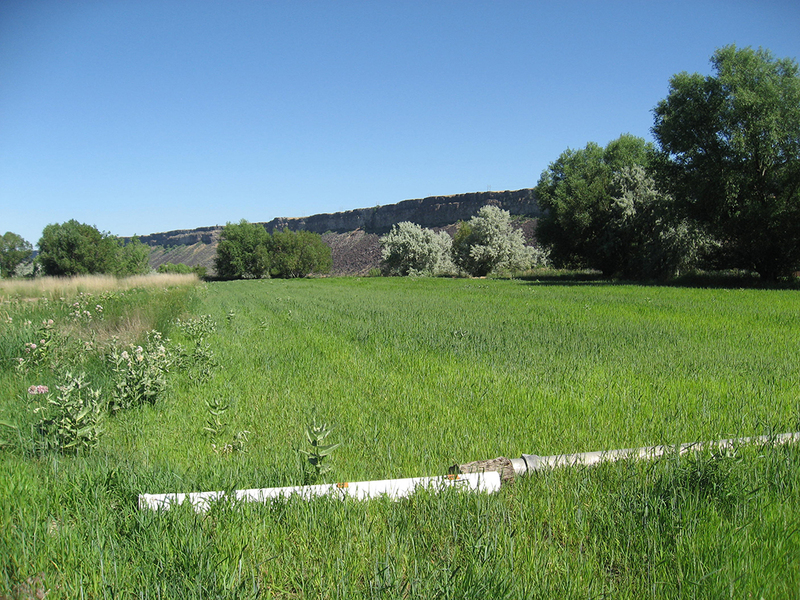 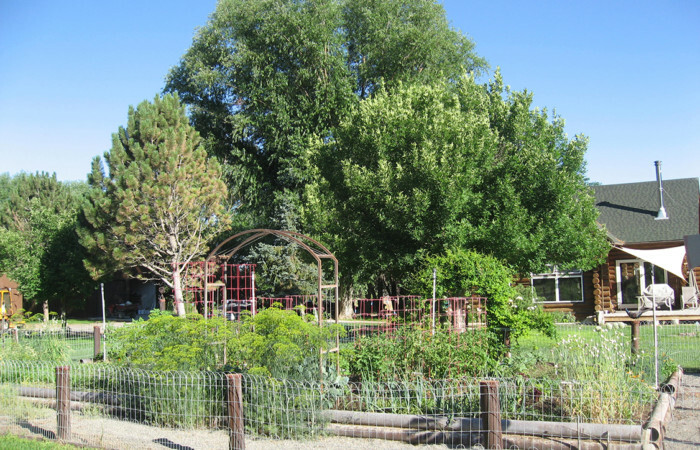 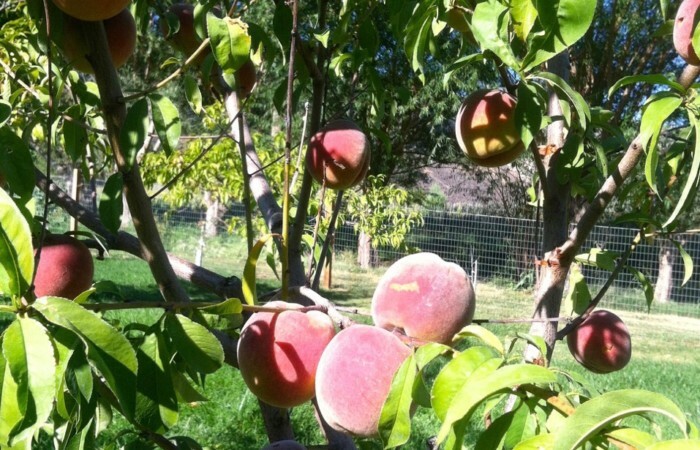 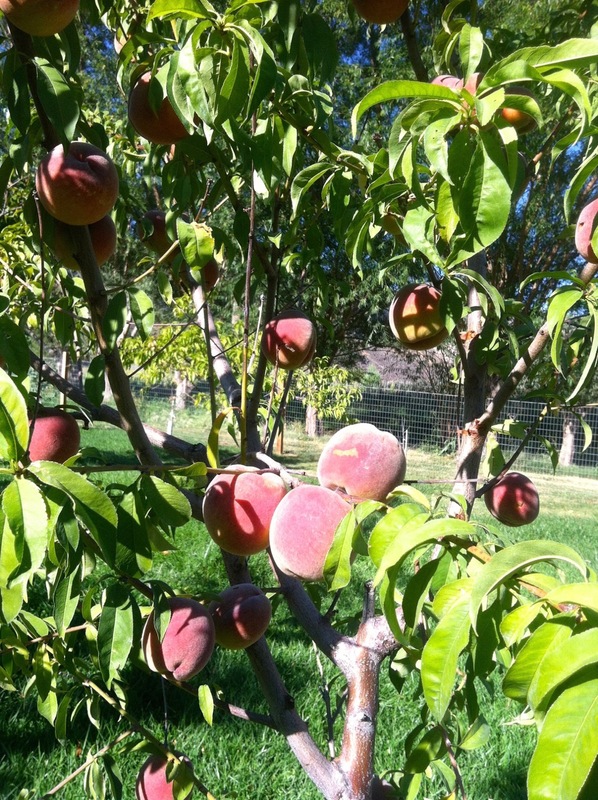 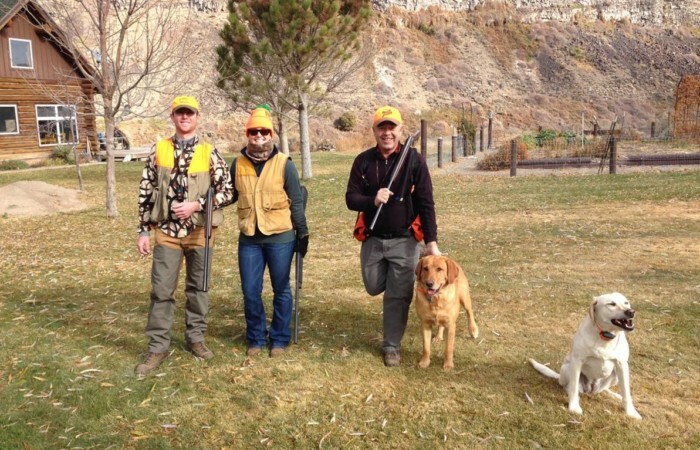 The property has extensive water rights that are used for raising corn and millet to attract numerous species of game birds The ranch has chukar, pheasant, quail, ducks and geese. 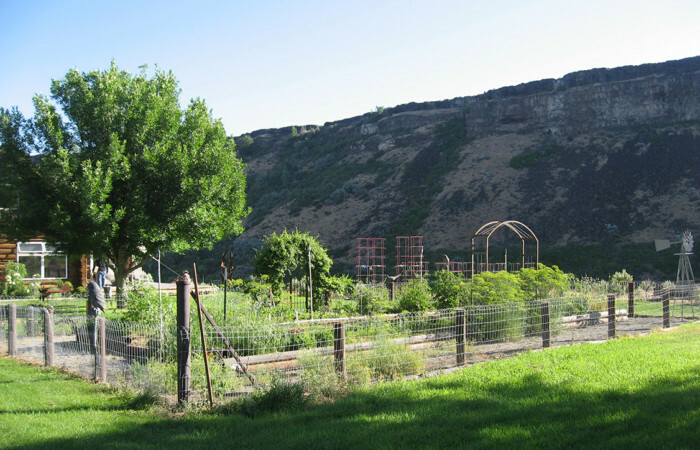 There are also numerous deer on the ranch. 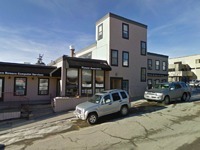 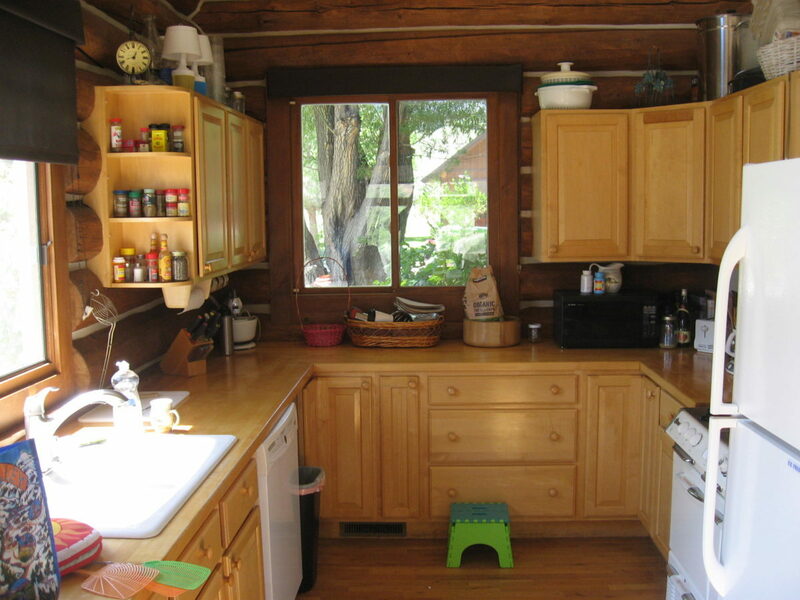 The improvements consists of a 2400 square foot house with 2.5 bedrooms and two bathrooms. 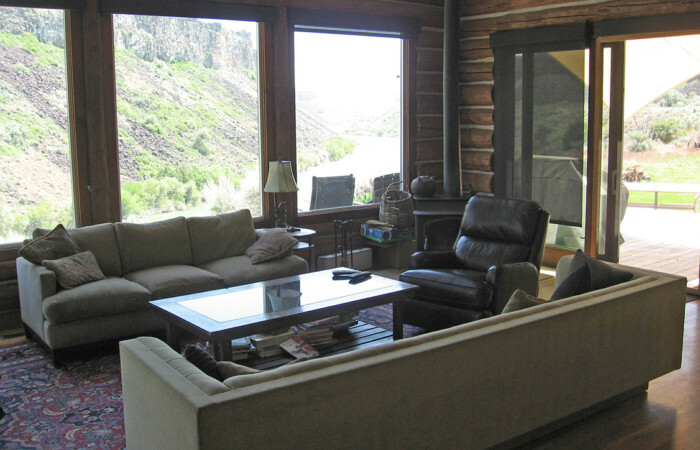 The house is perched on a bench with dramatic views up and down the river. 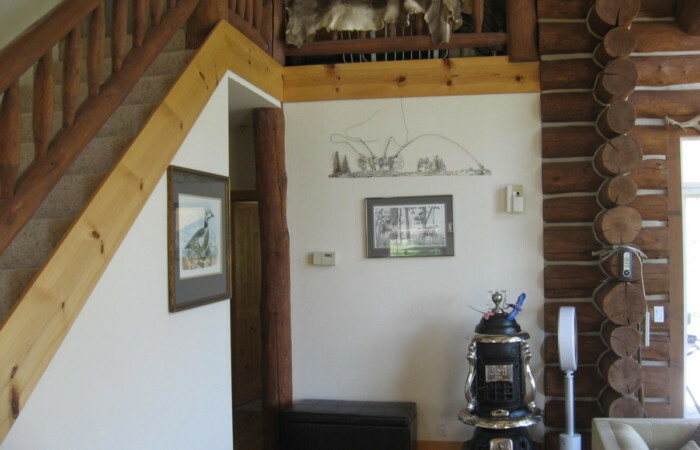 There is also a large barn/garage situated next to the house. 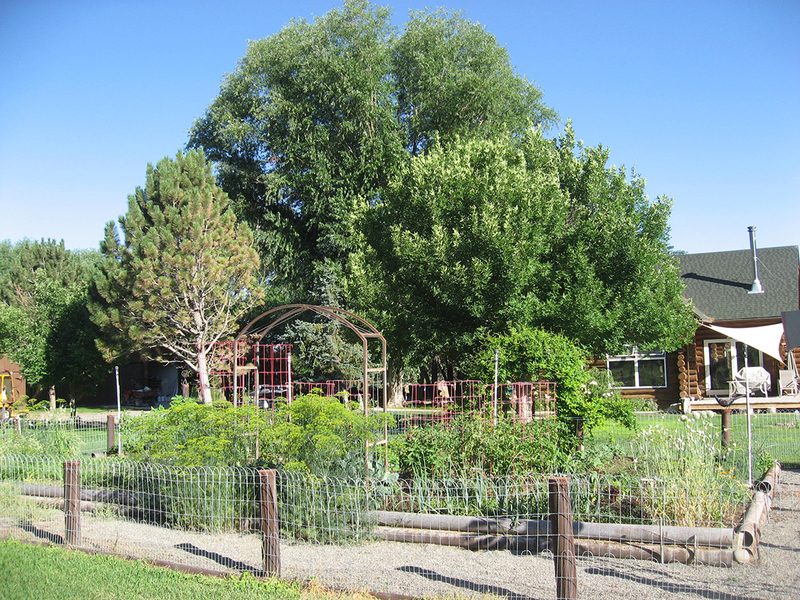 A very nice garden borders the house with both vegetables and flowers. 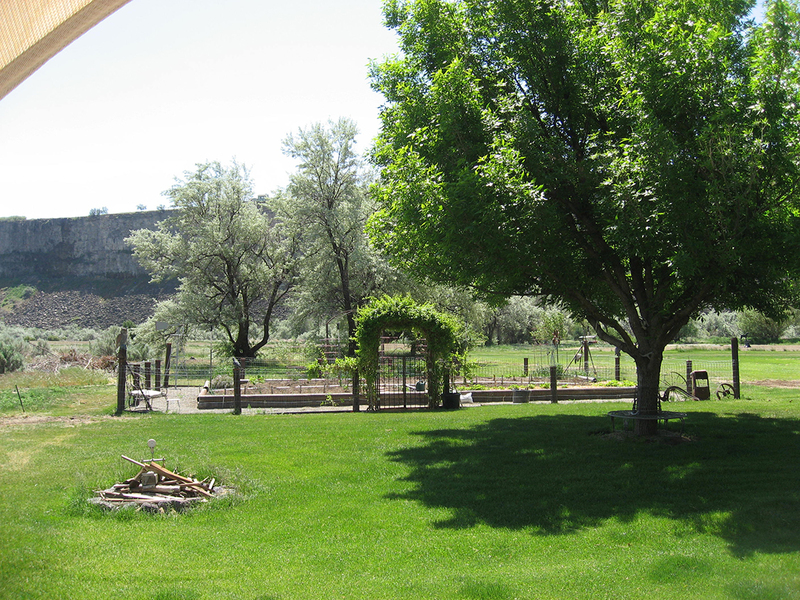 The ranch has an additional outbuilding that the owners use to raise pheasants they turn-out in the fall. 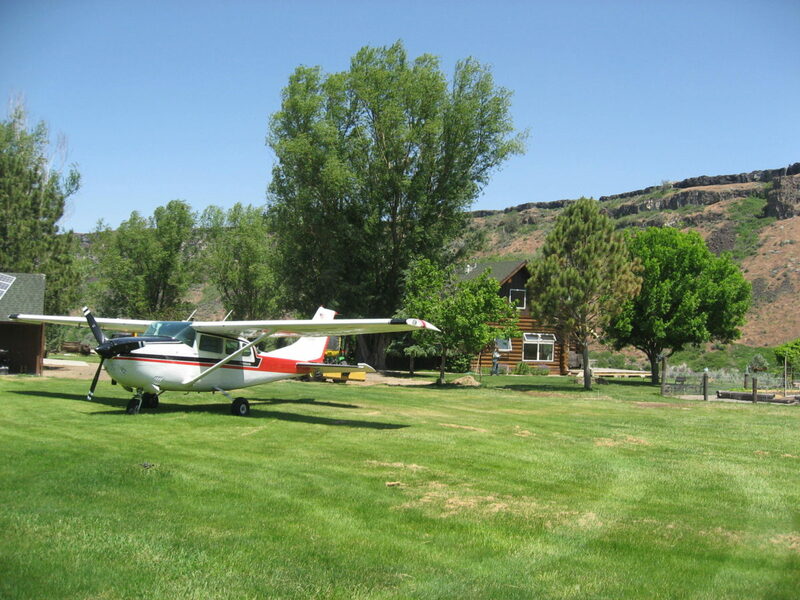 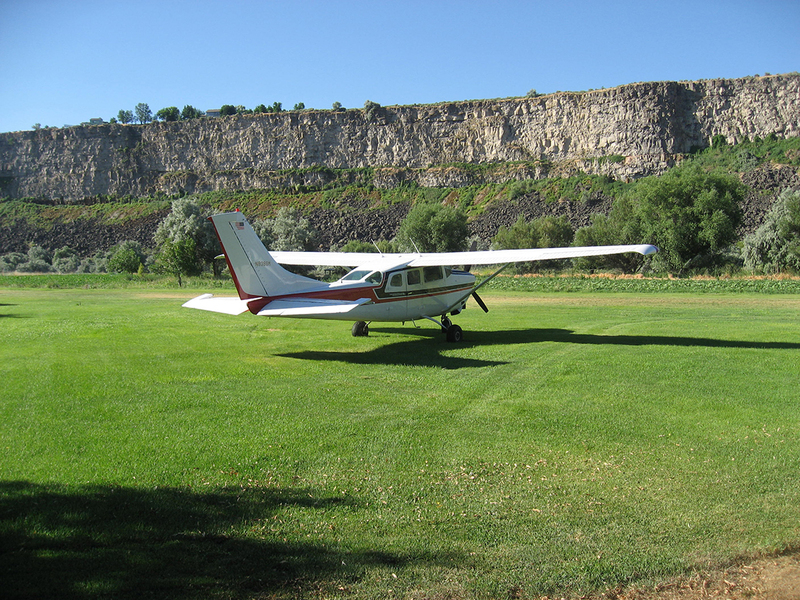 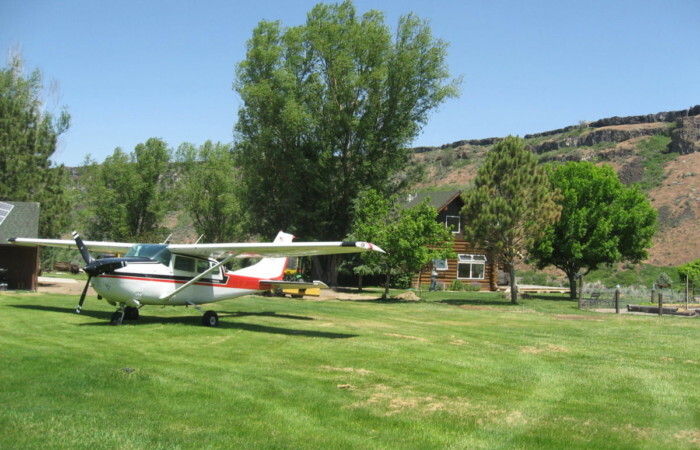 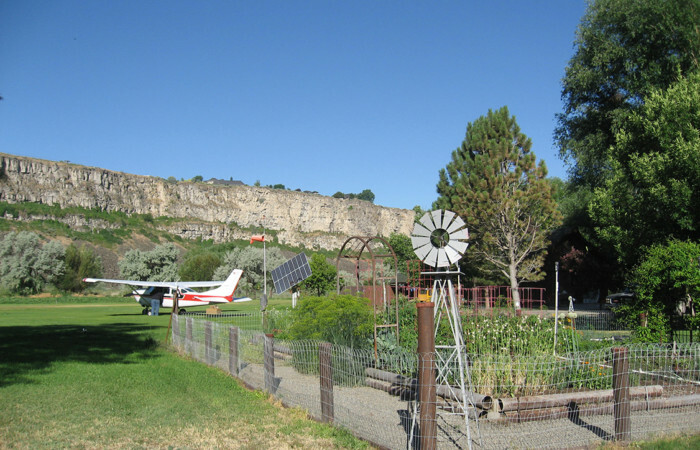 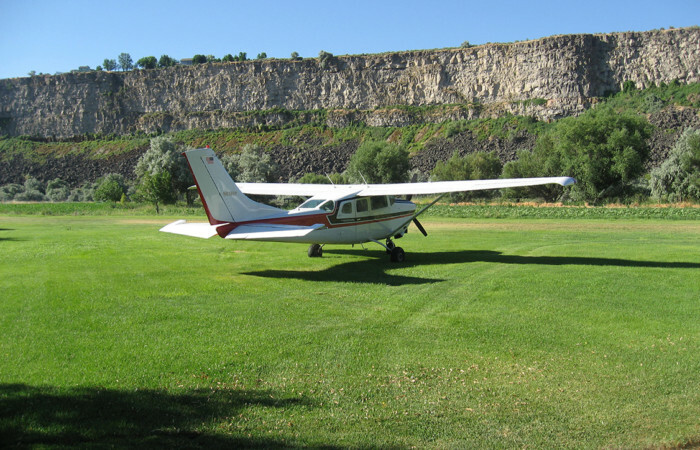 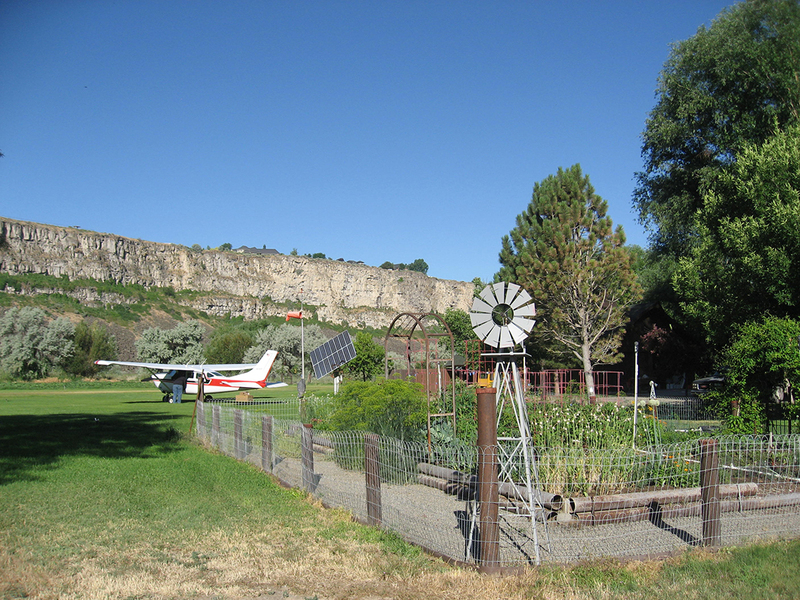 The ranch has a very well maintained grass airstrip that is 2300 feet long and is watered with automatic sprinklers. 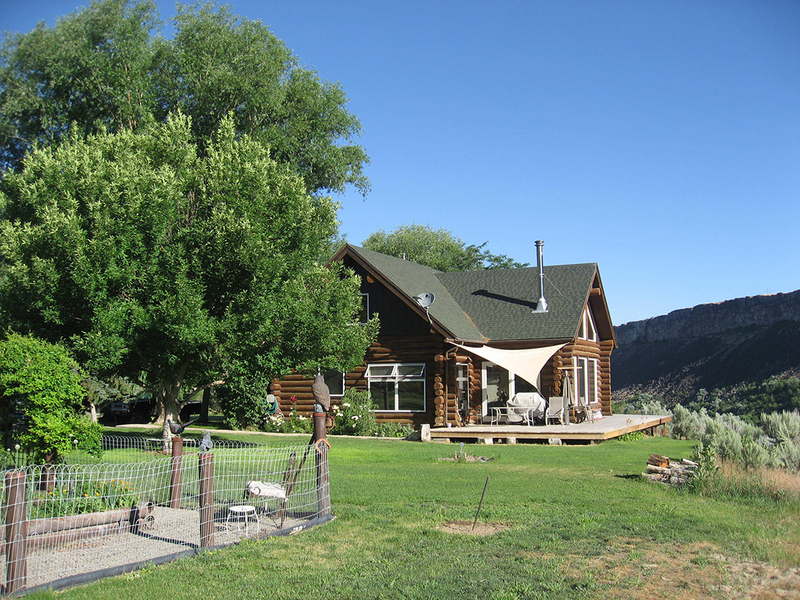 This ranch is an ” end of the road” ranch that has no easements by the public. 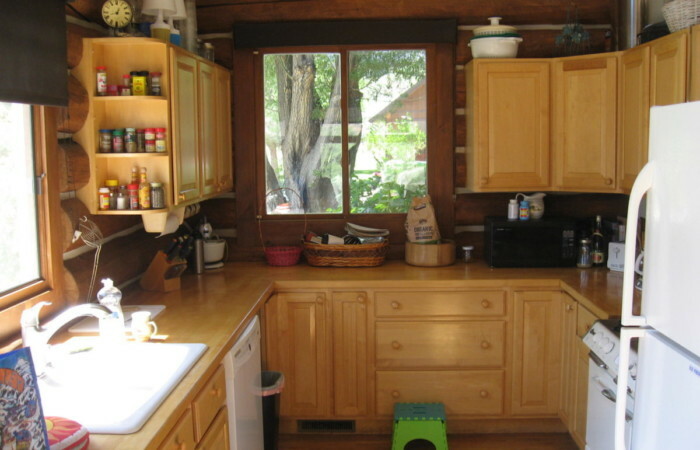 Therefore it offers total privacy. 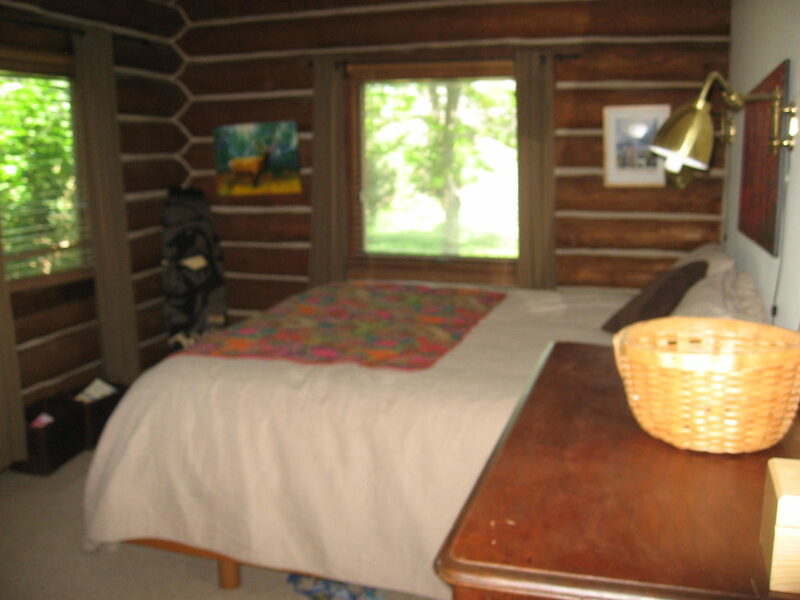 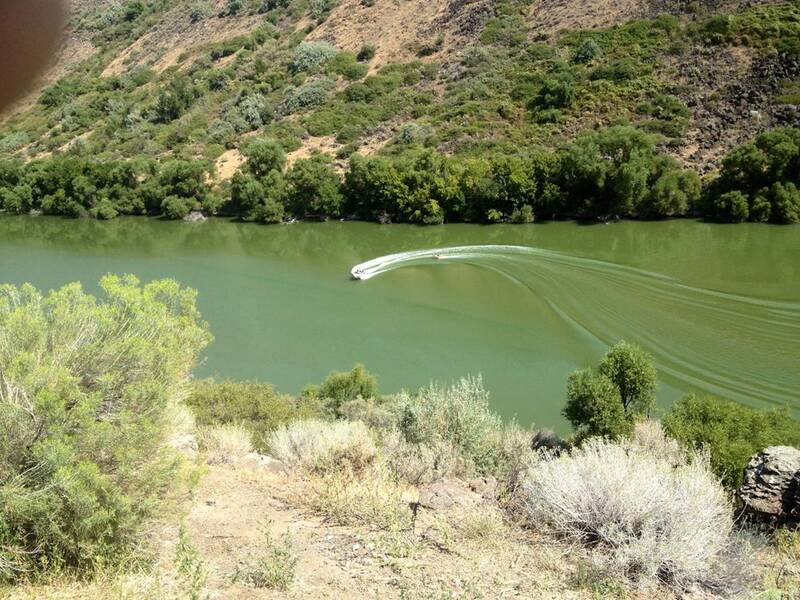 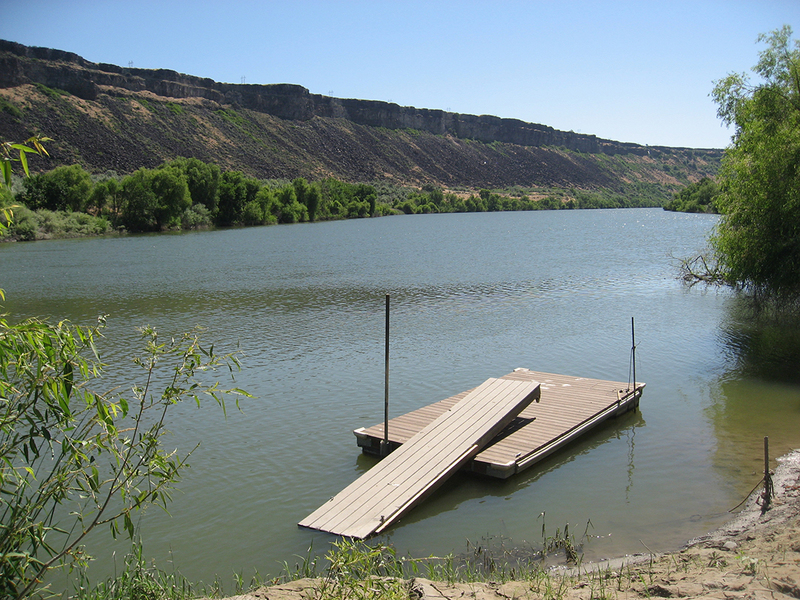 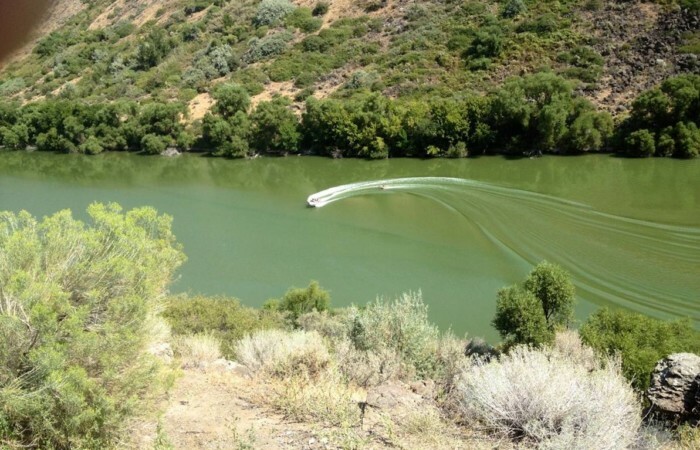 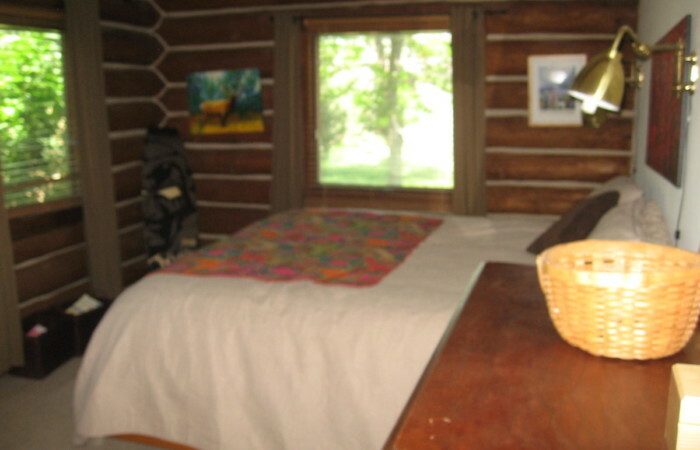 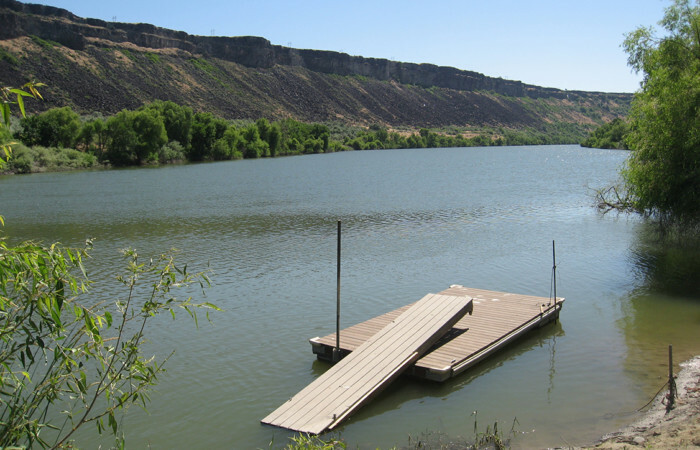 The ranch has a permitted and private boat dock that offers super river access with fishing and water skiing. 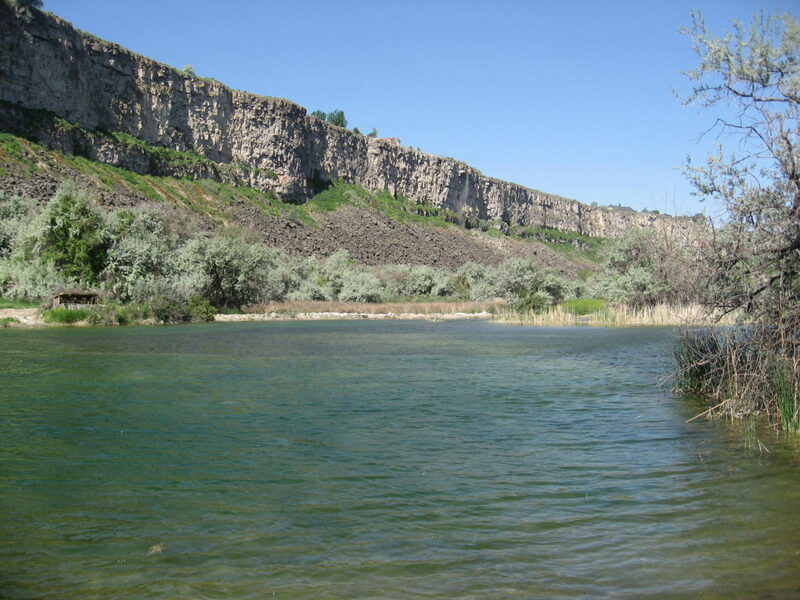 The river is up to 60 feet deep on this stretch of the river and it harbors a sizeable population of sturgeon for very exciting fishing. 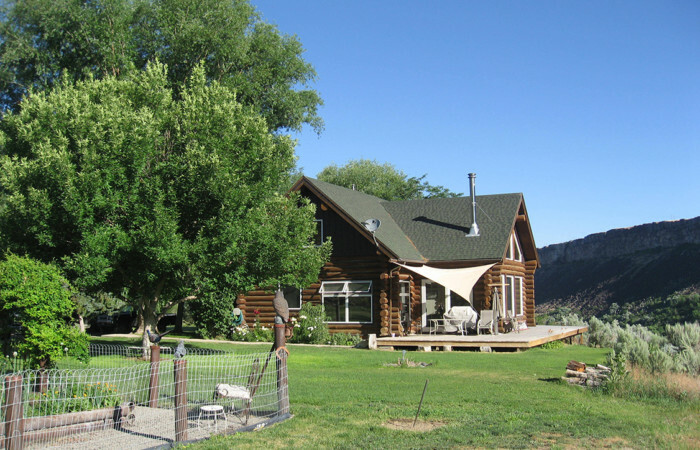 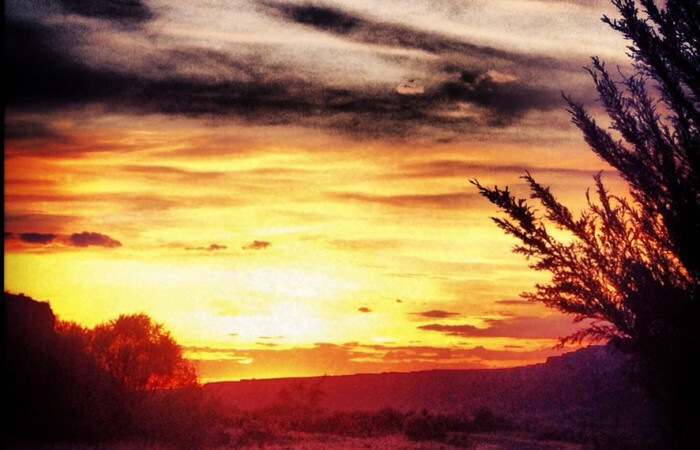 If you are looking for a trophy ranch with excellent bird hunting, fishing, privacy and dramatic views in all directions, this is the ranch for you.